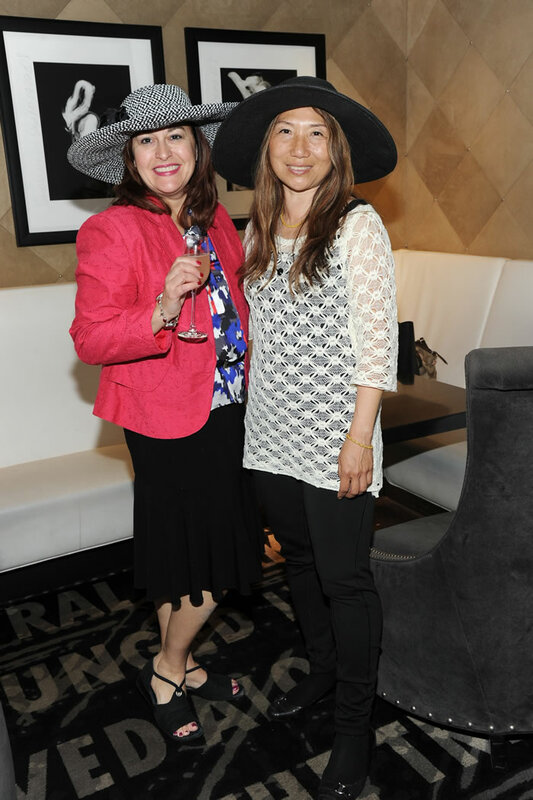 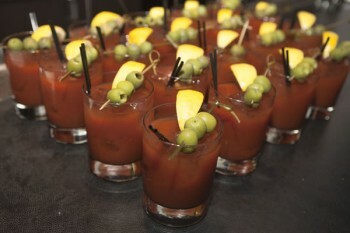 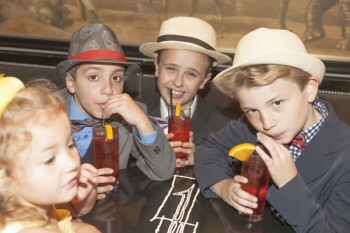 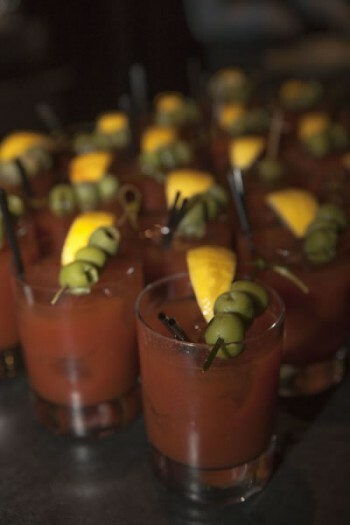 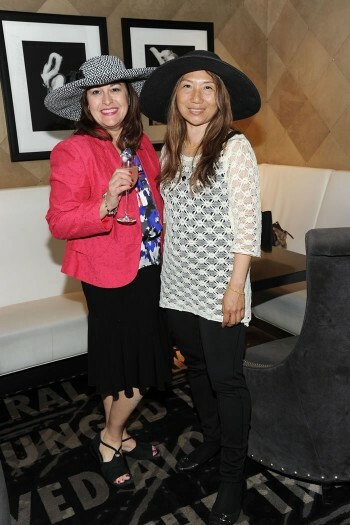 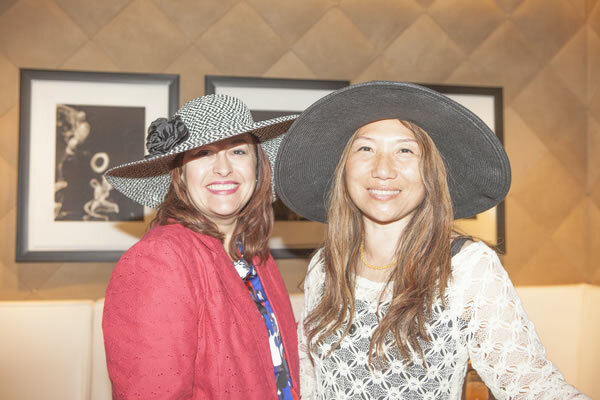 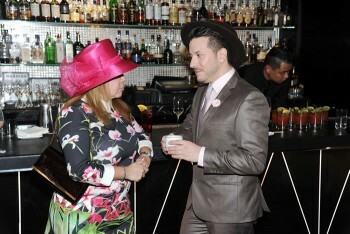 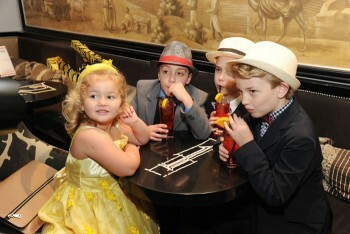 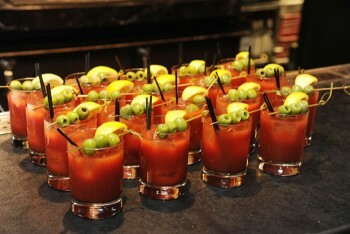 Old Fashioned Mom Magazine held its first event on May 6th at Bar Pleiades in the Surrey Hotel. 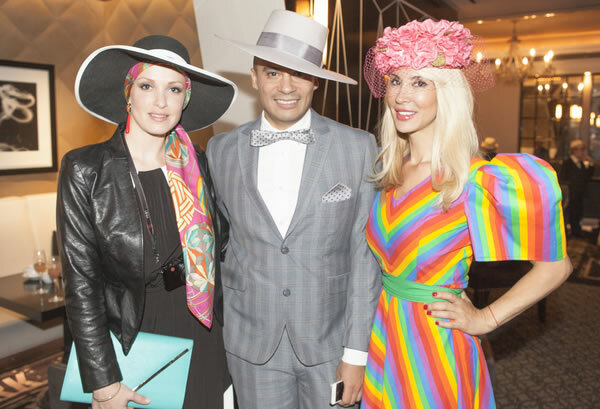 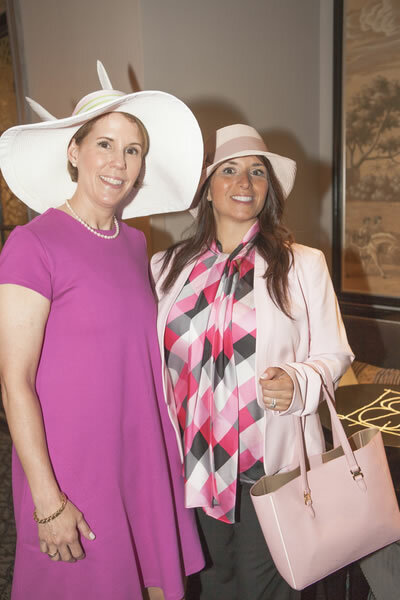 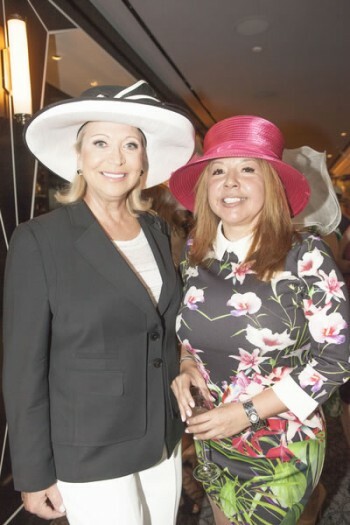 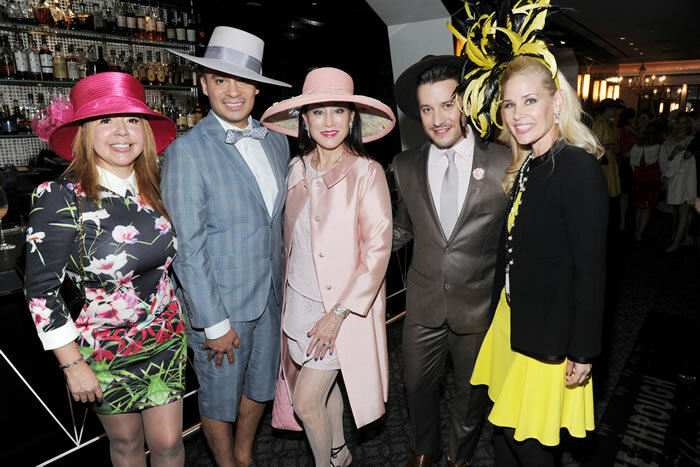 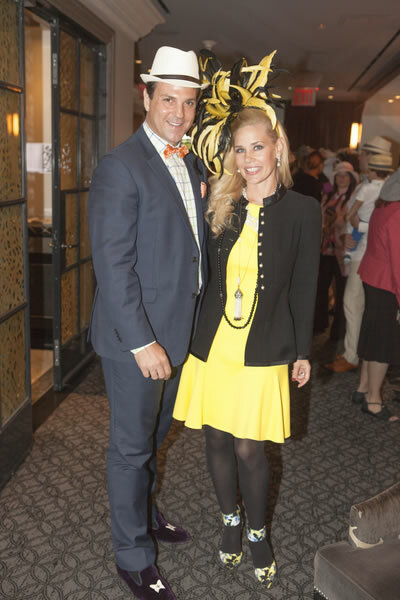 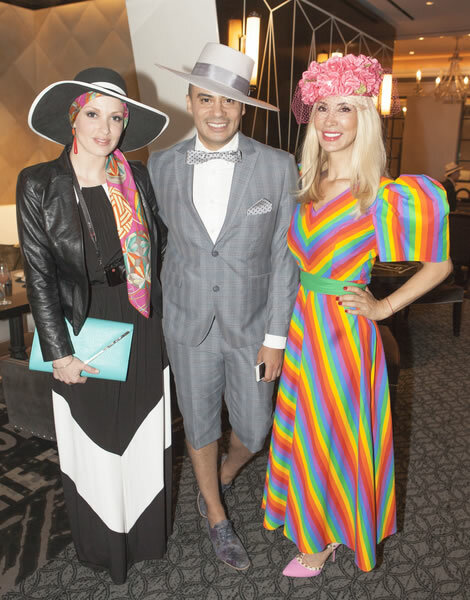 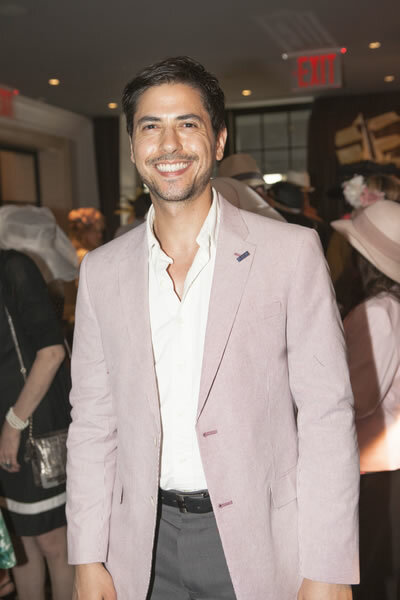 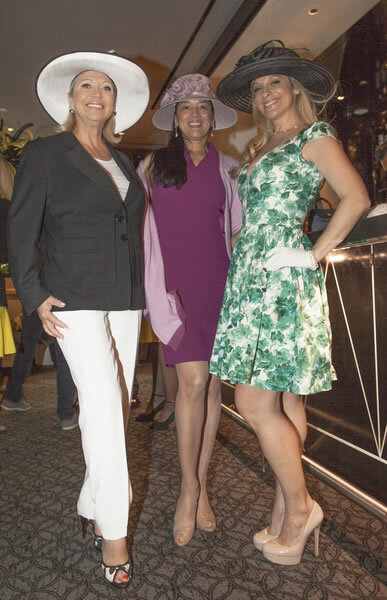 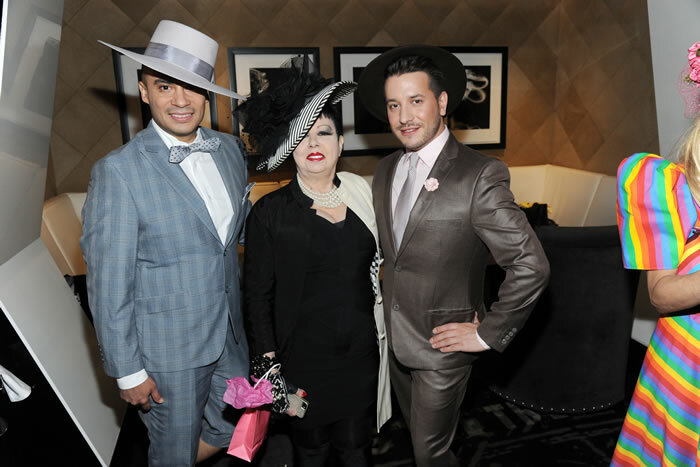 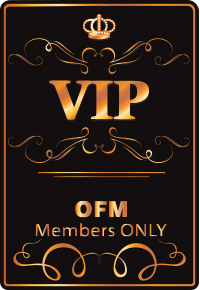 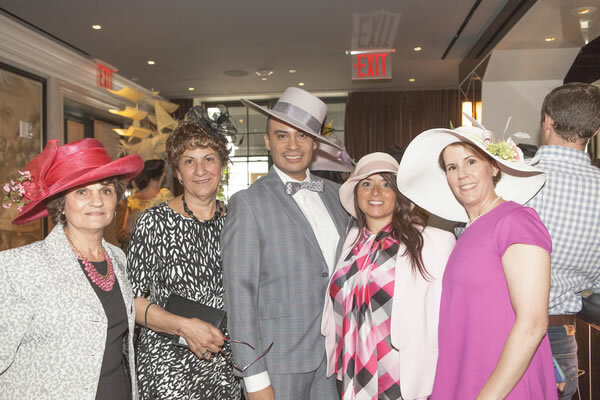 The event celebrated Spring and the success of the magazine while introducing guests to the exciting new bath line created exclusively by the Old Fashioned Mom brand. 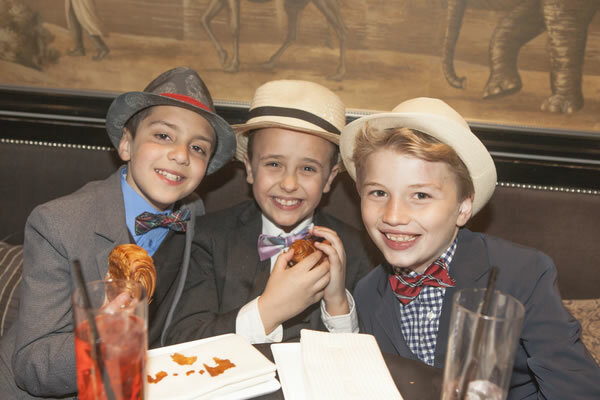 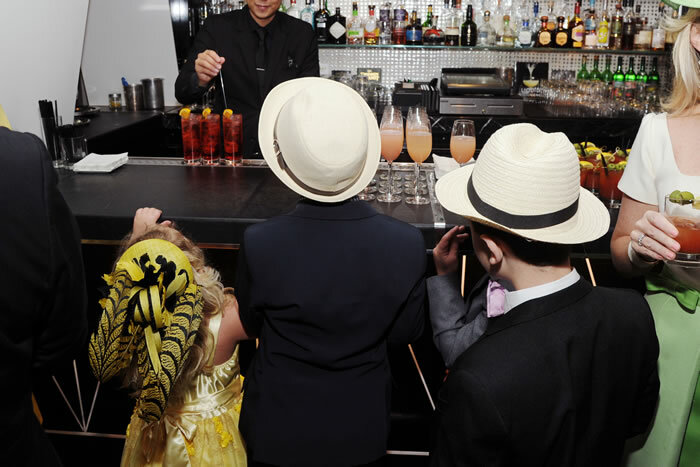 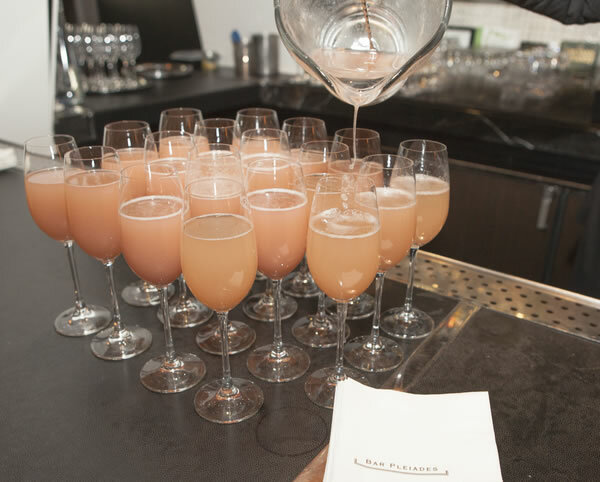 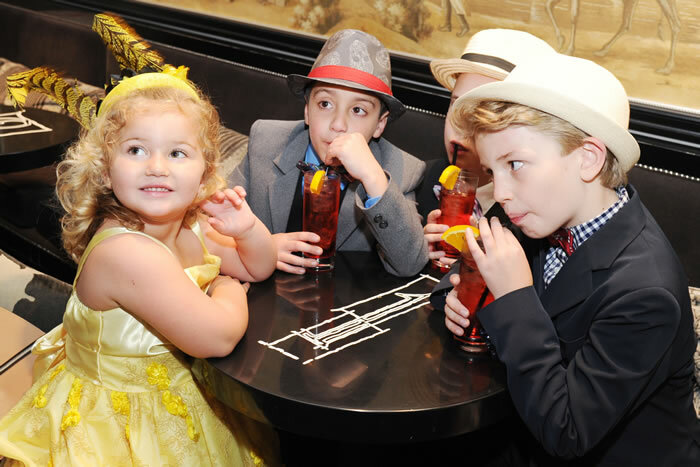 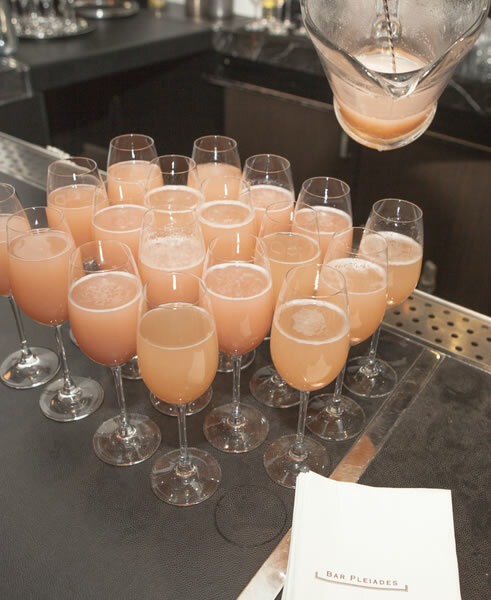 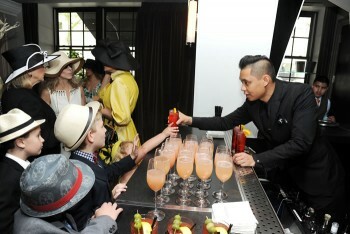 Lovely ladies sipped hand crafted Bellini’s and Bloody Mary’s made by bar maestro Guy Fouquet while the little ones had Shirley Temples and chocolate croissants from Cafe Boulud. 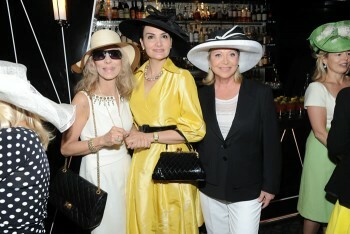 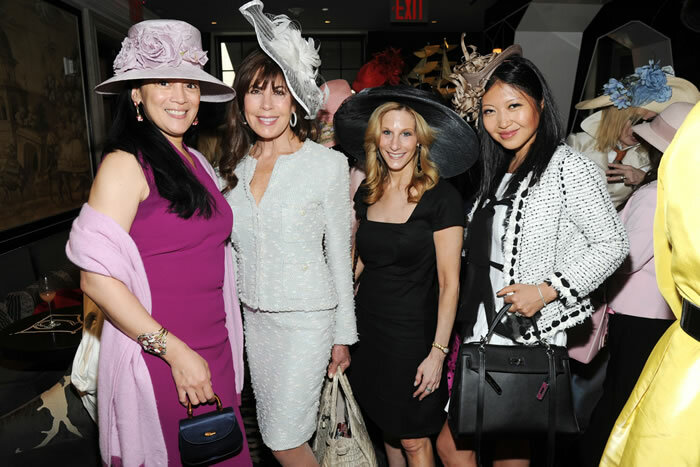 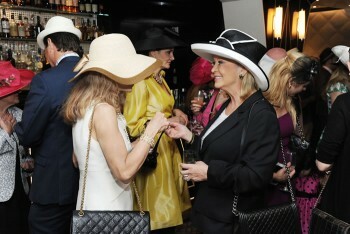 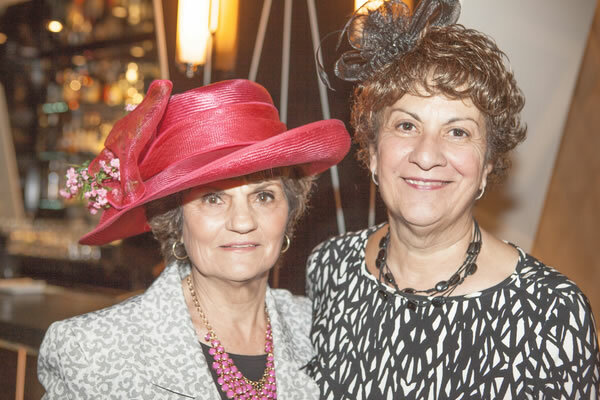 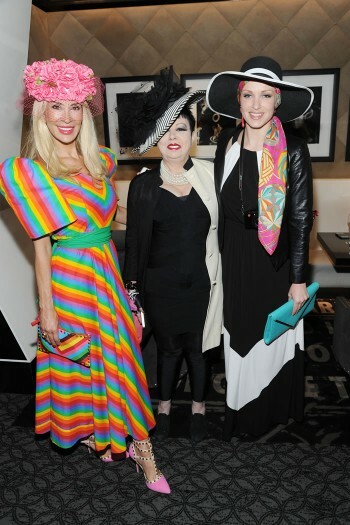 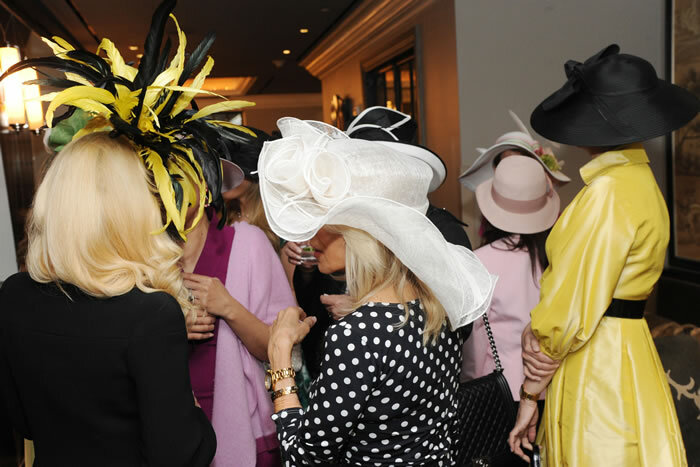 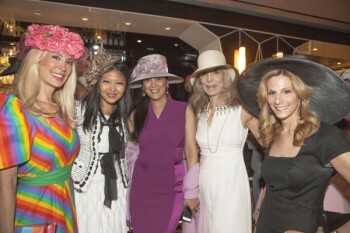 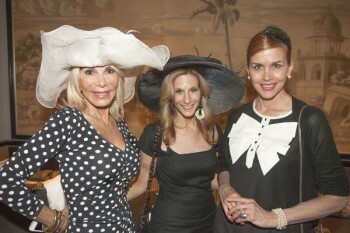 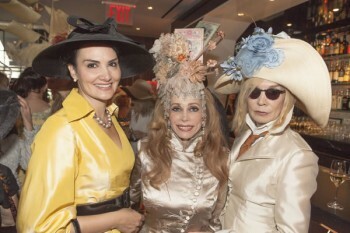 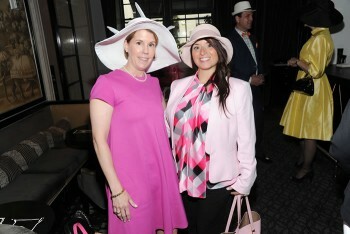 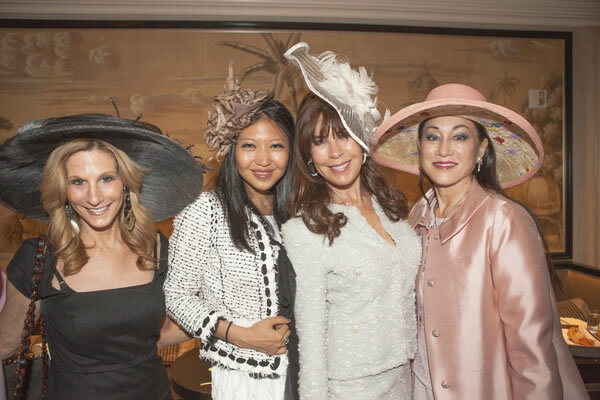 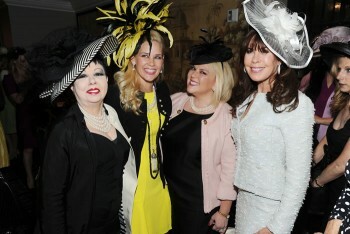 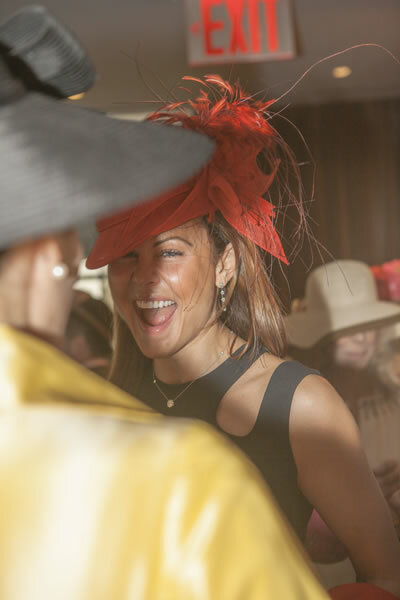 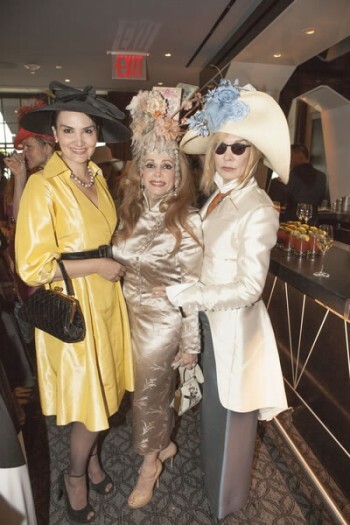 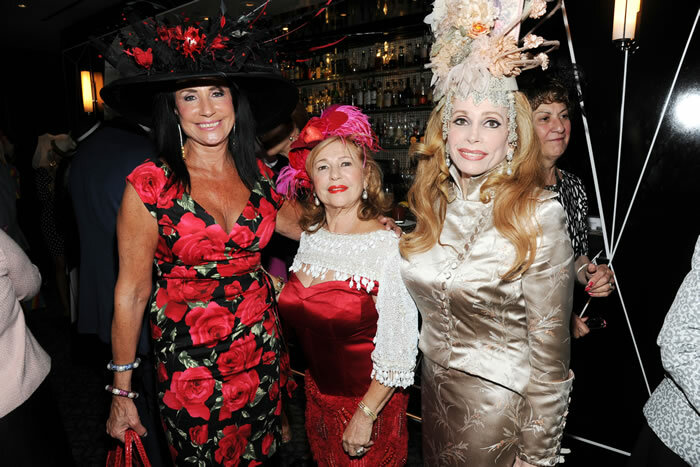 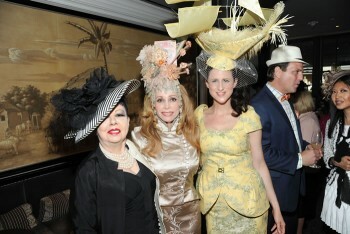 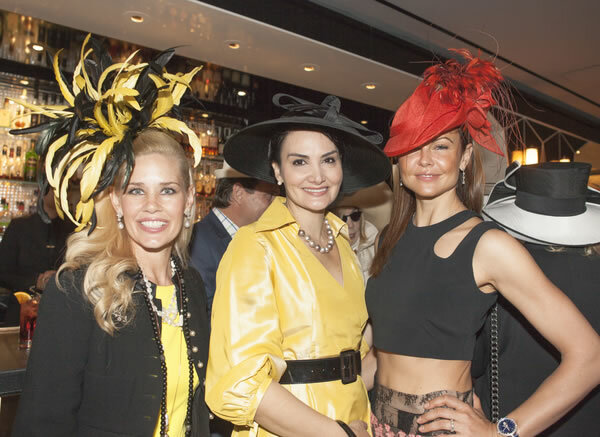 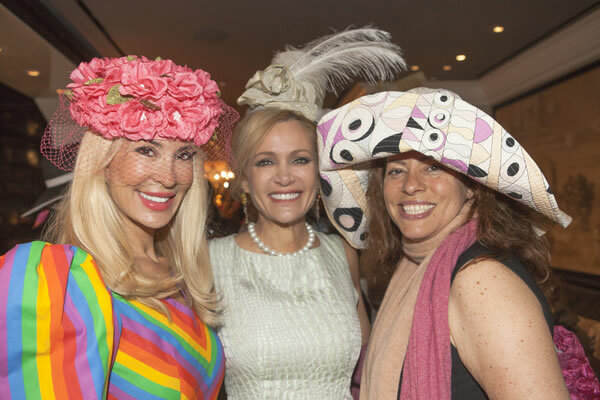 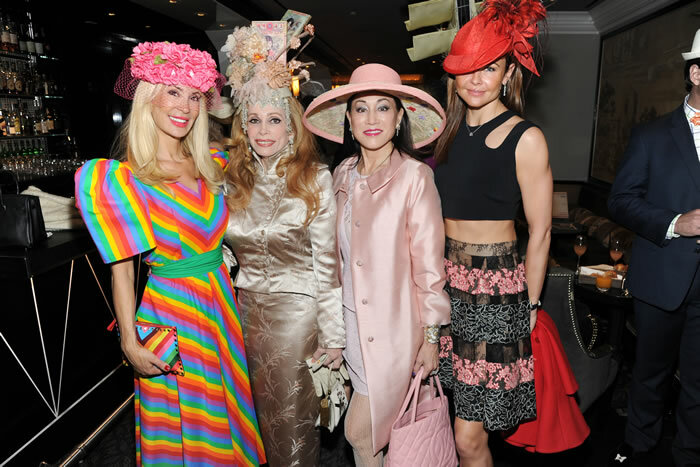 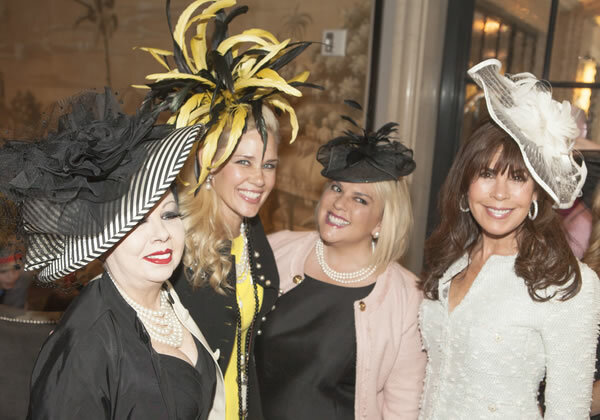 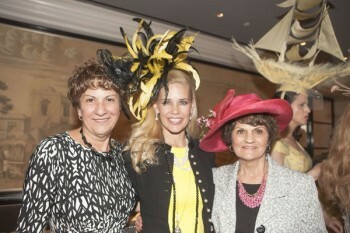 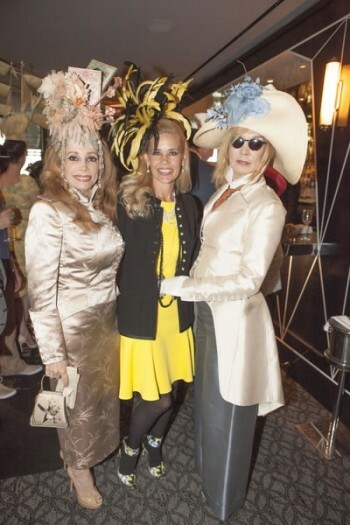 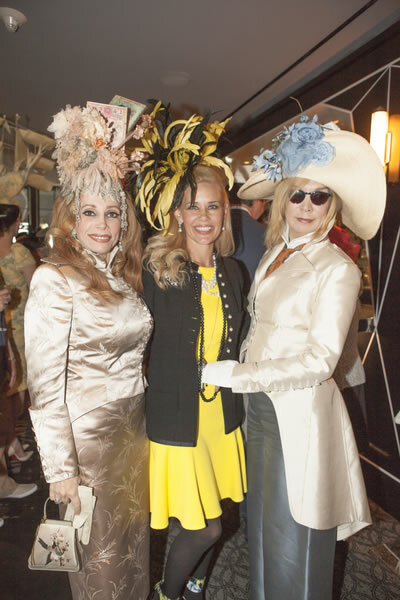 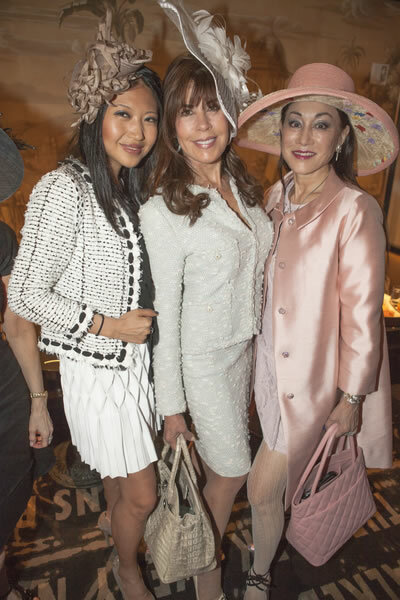 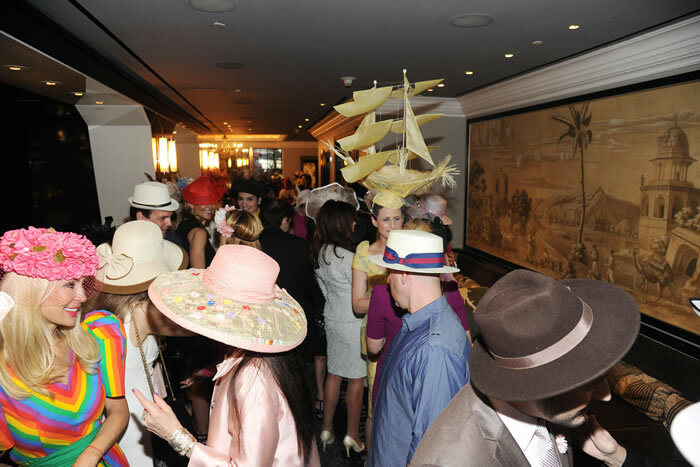 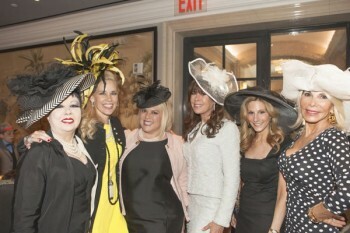 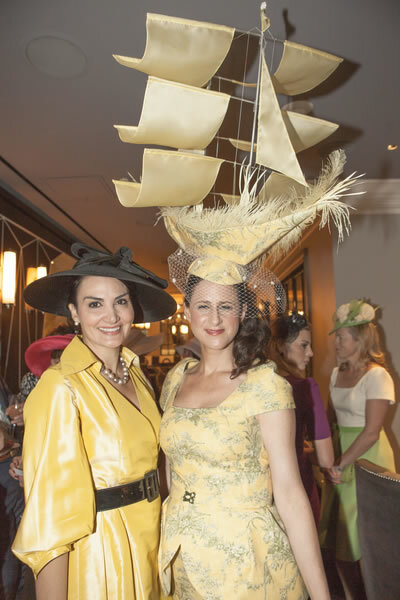 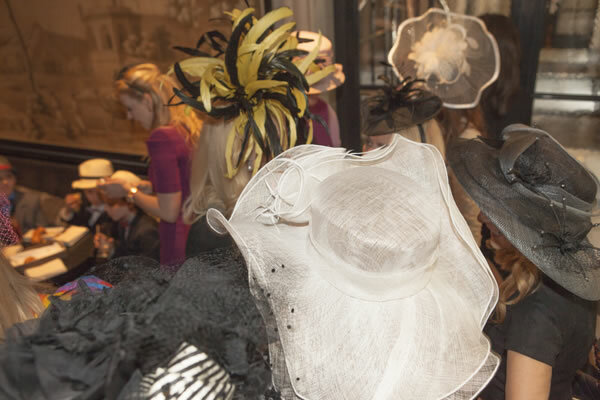 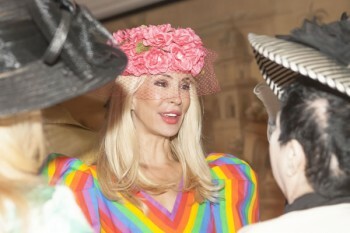 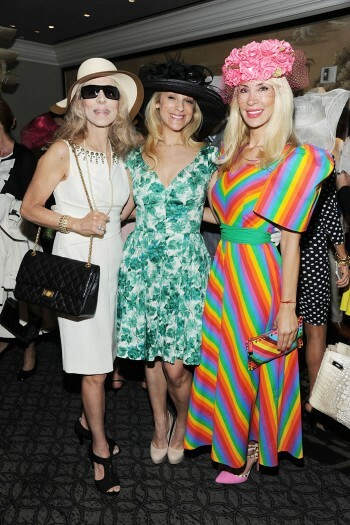 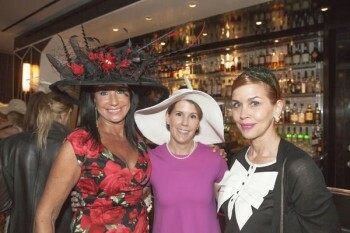 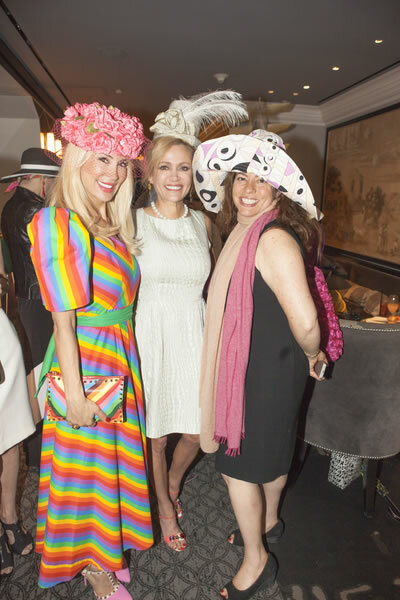 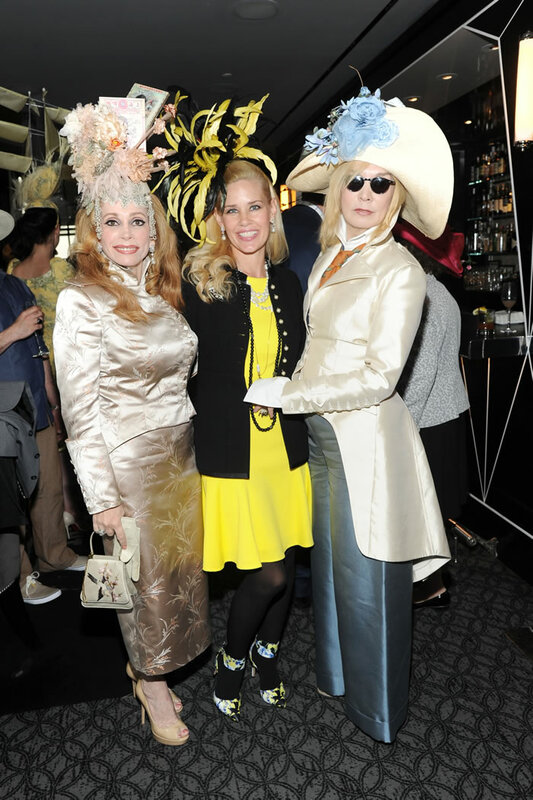 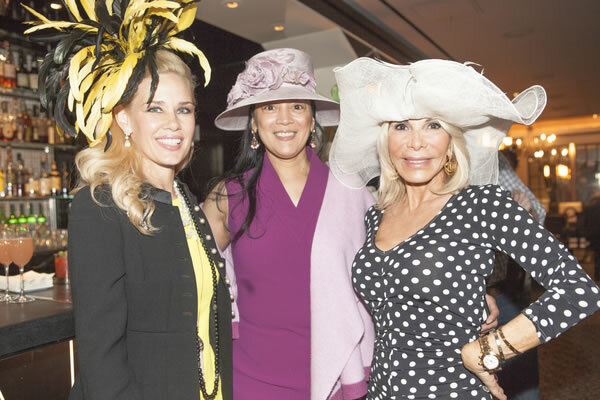 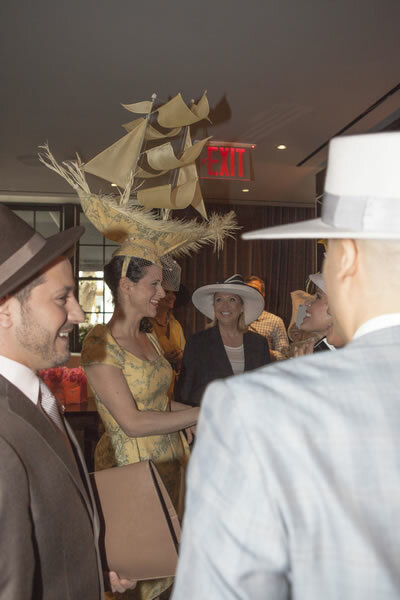 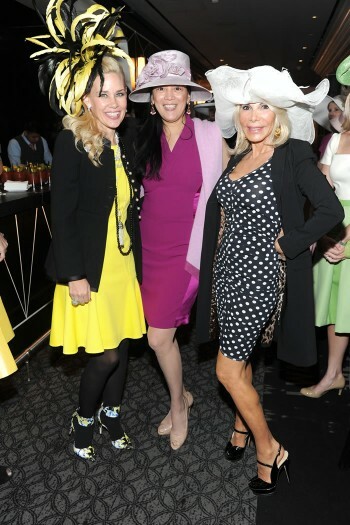 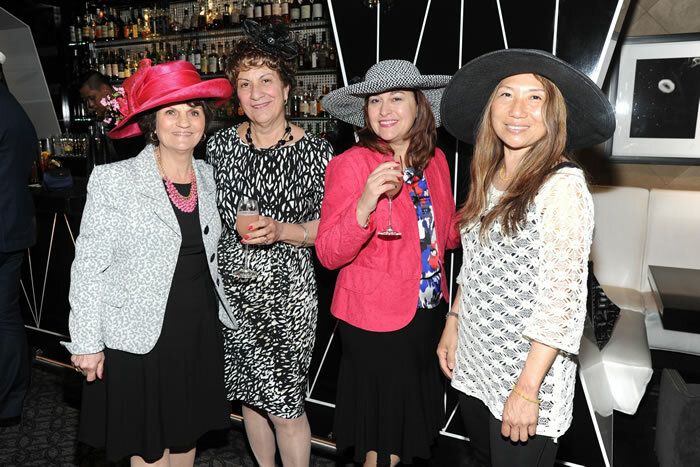 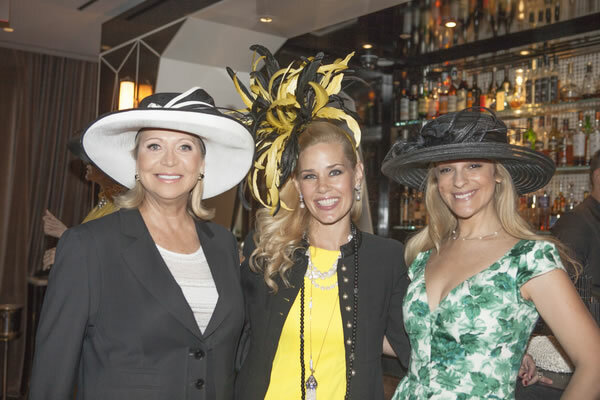 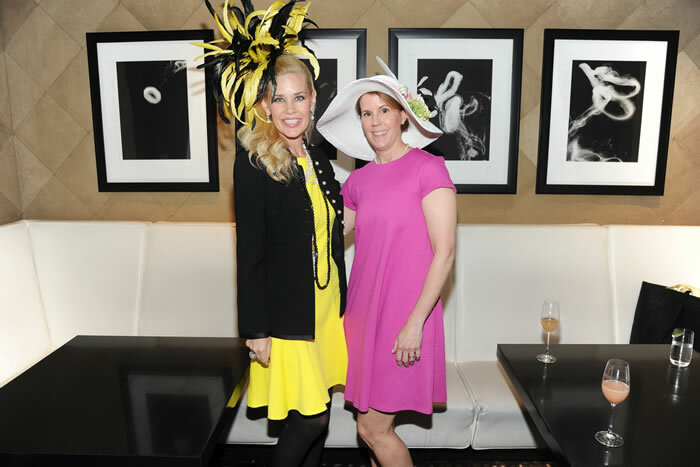 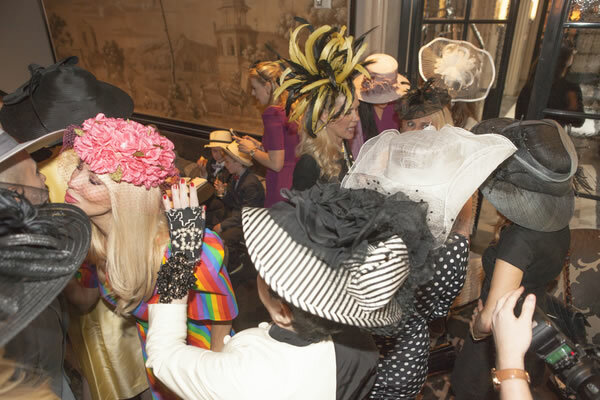 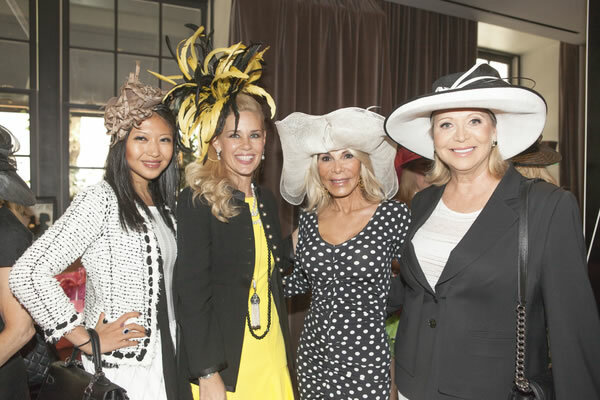 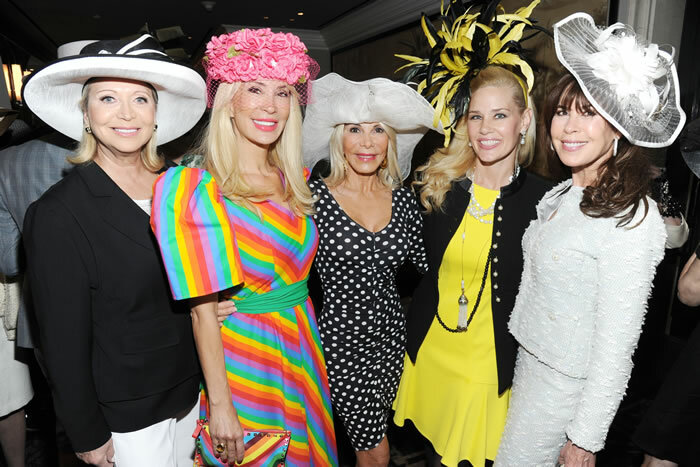 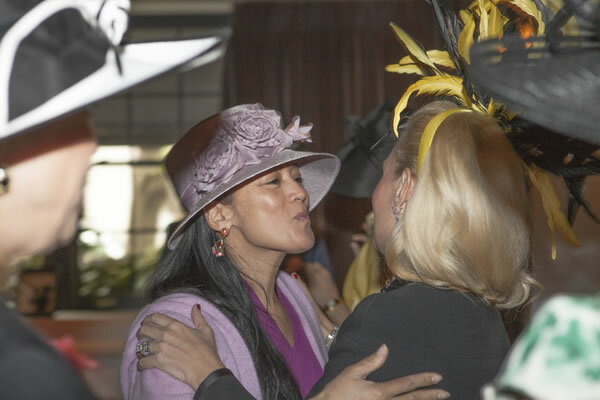 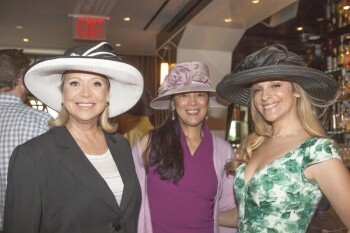 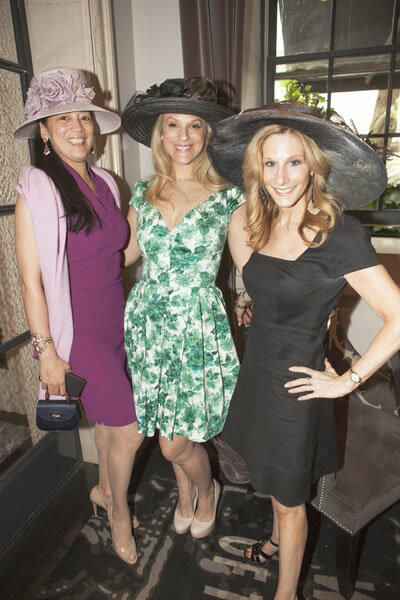 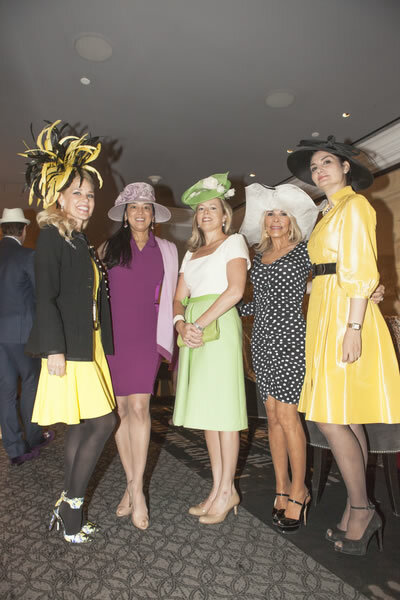 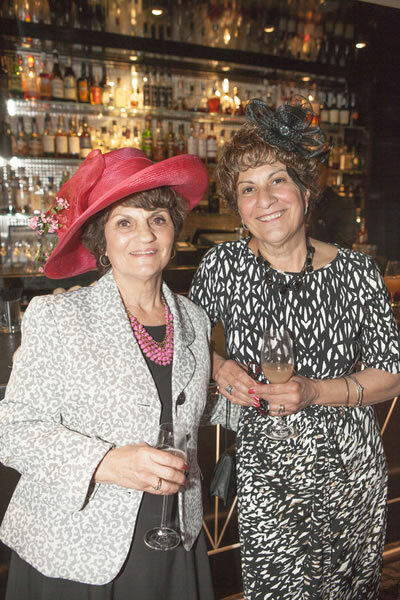 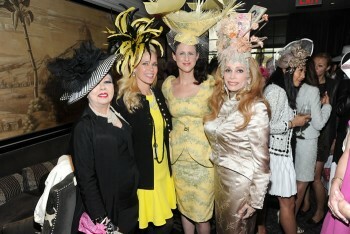 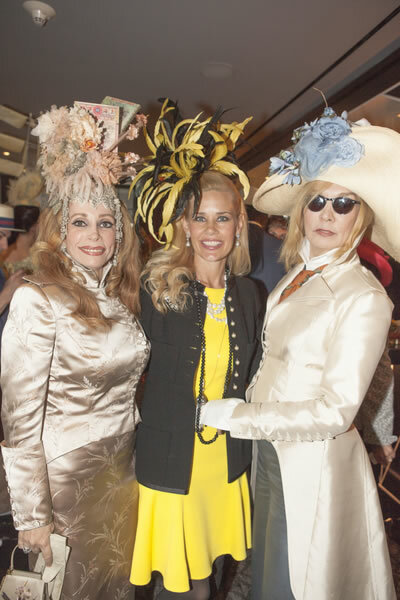 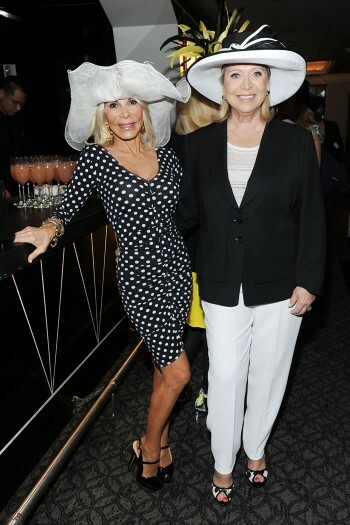 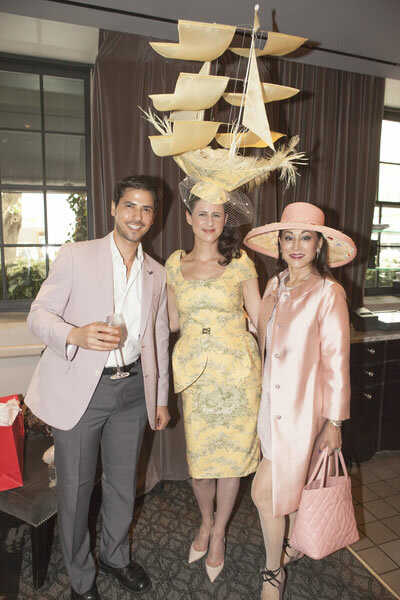 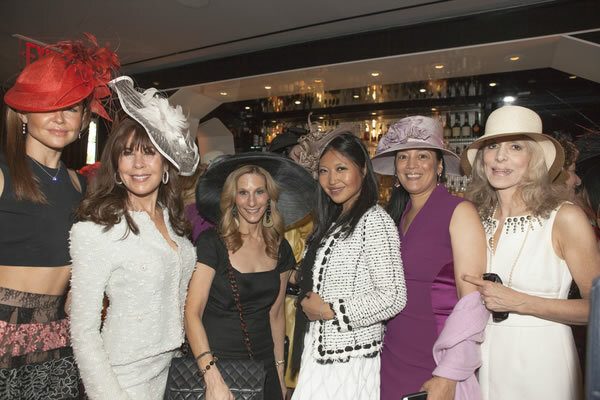 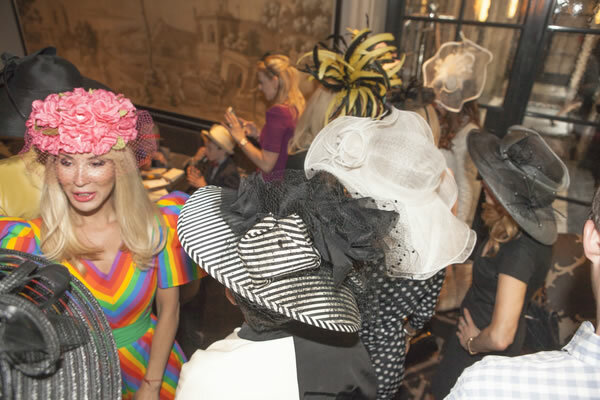 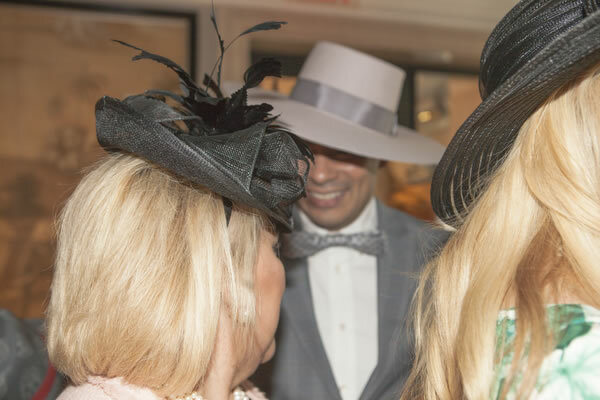 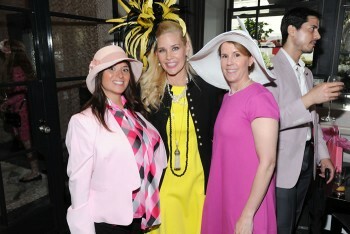 The mood was pure champagne kisses as beautiful ladies delighted in one another’s magnificent spring hats. 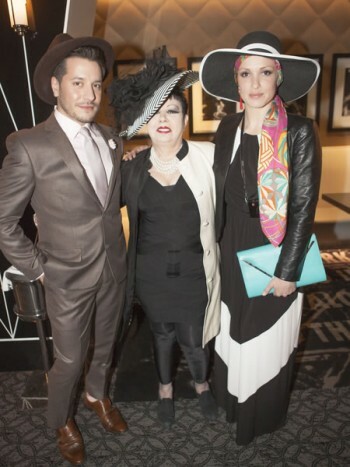 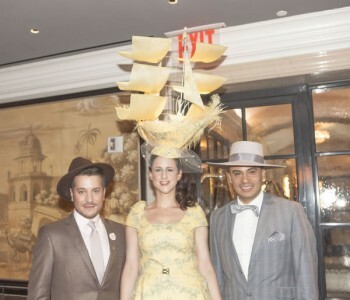 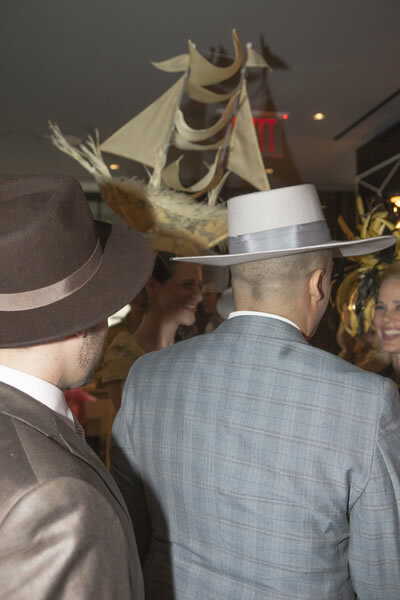 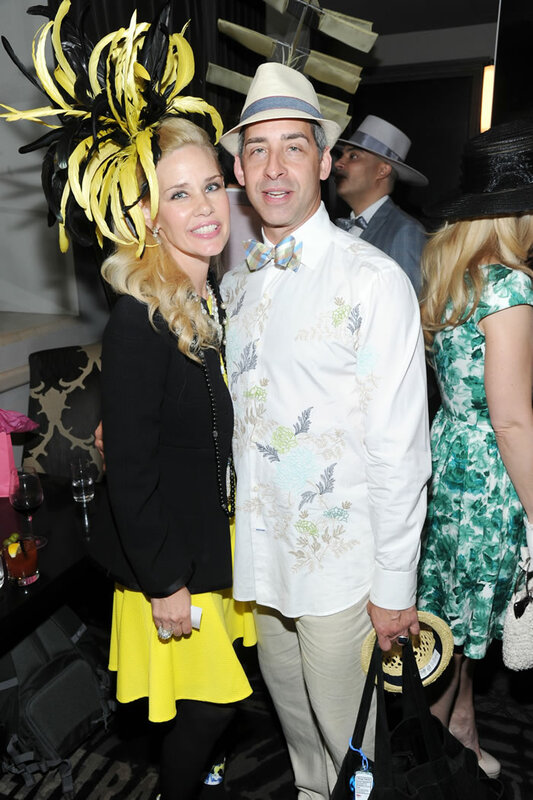 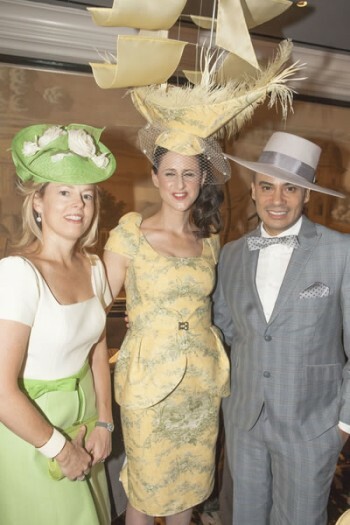 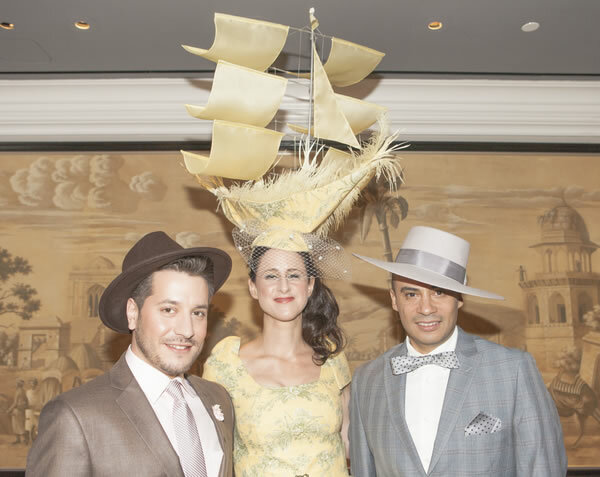 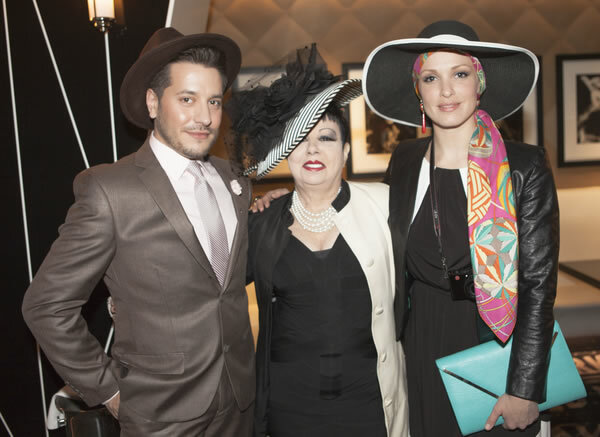 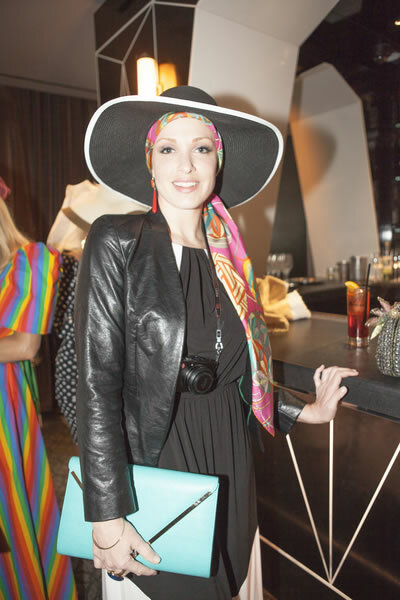 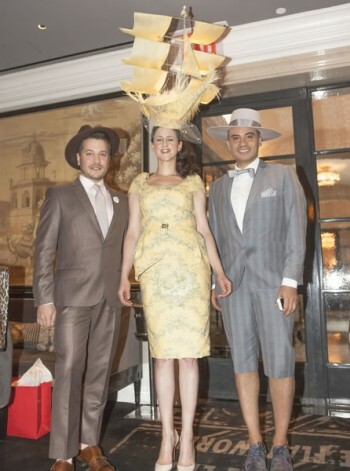 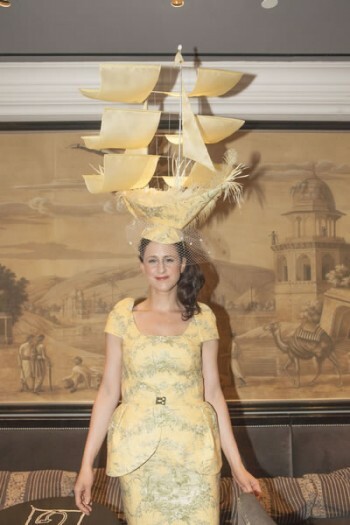 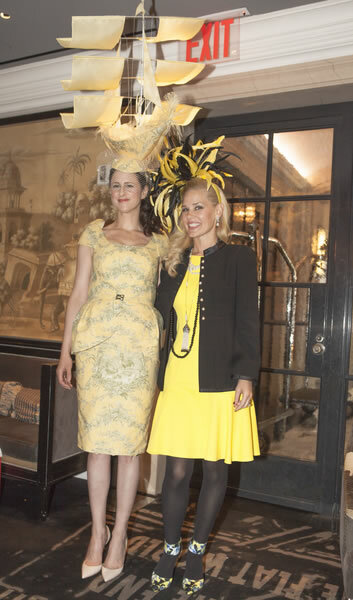 The most extraordinary chapeau went to Tanja Dreiding Wallace, wearing a masterpiece created for her by designer Victor De Souza. 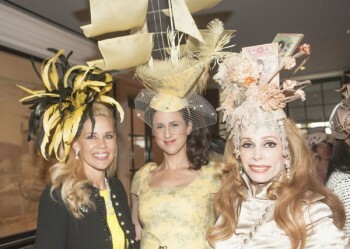 The inspiration was Marie Antoinette, France’s iconic but ill-fated queen. 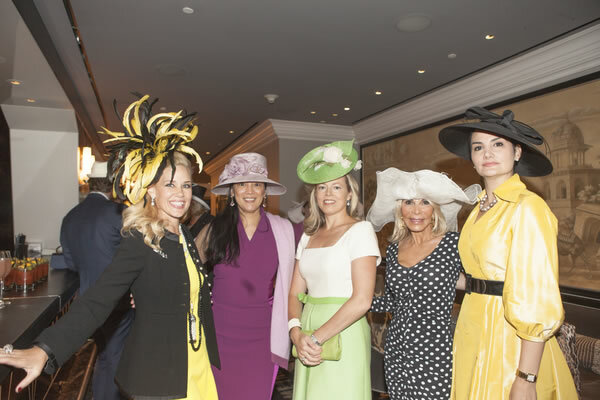 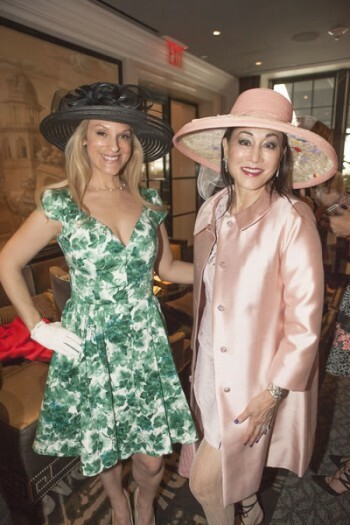 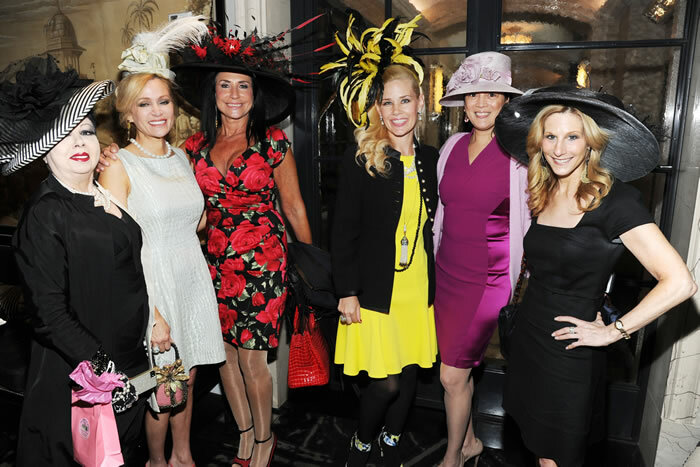 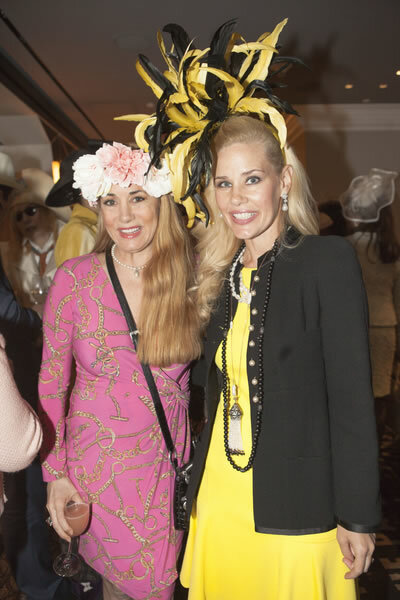 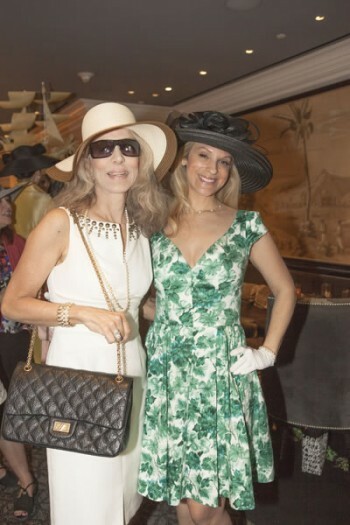 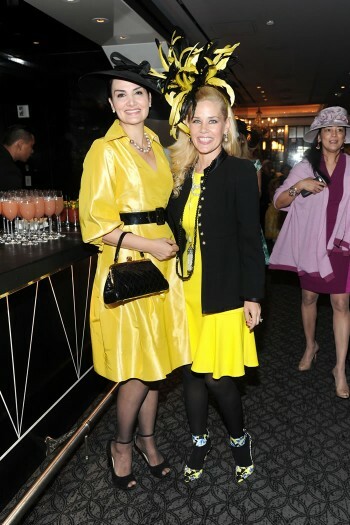 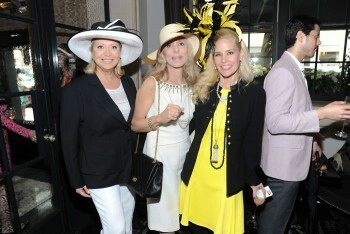 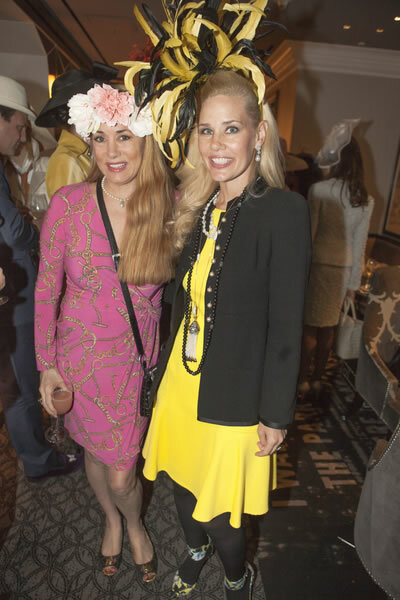 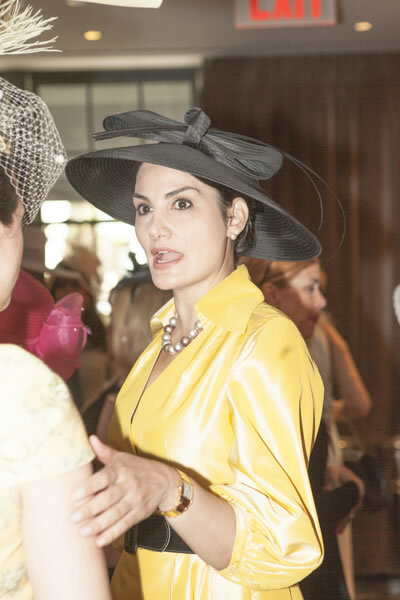 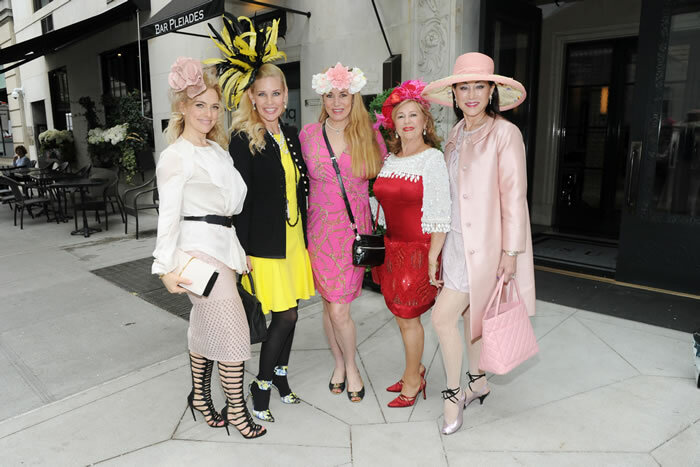 Other Old Fashioned Mom devotees included: Randi Schatz of Avenue Magazine, Maya Johnson of Palm Beach Today International Magazine, Couture Designer Maggie Norris, Cassandra Seidenfeld, Consuelo Vanderbilt Costin, Tracy Stern, Lauren Day Roberts, Lucia Hwong Gordon, Debbie Dickinson, Leesa Rowland, Alessandra Emanuel, Anne Baker, Aimee Marcoux Spurlock, Tanja Dreiding Wallace, Joy Marks, Donna Soloway, Joycelyn Engle, Jen Bawden, Tina Storper, Adele Niño, Andrea Warshaw-Wernick, Lucinda Bhavsar, Carol Heinemann, Nancy Amodeo, Lynn Versaci, Jean Trocino, Rosemary Ponzo, Melissa Levis and Brooke Fedagain. 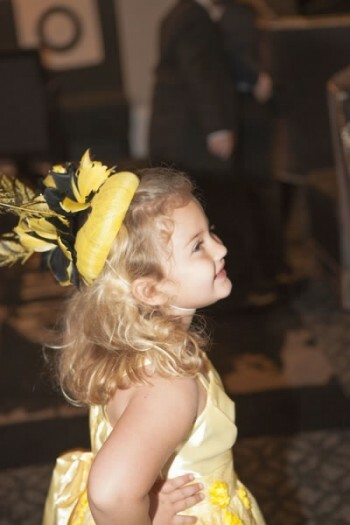 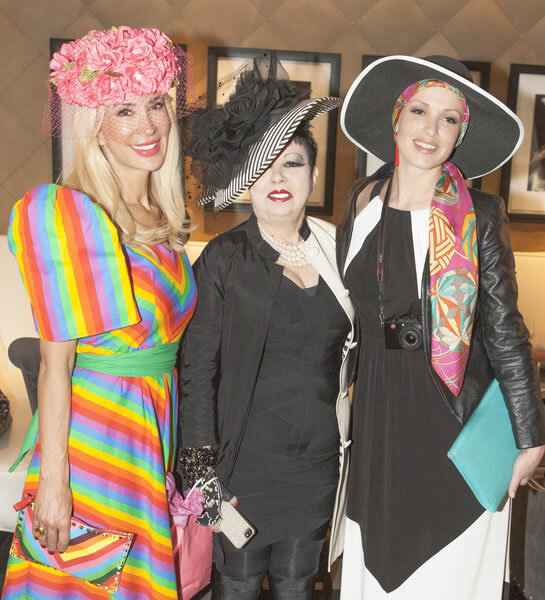 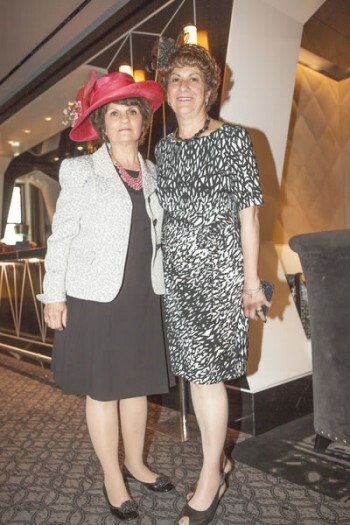 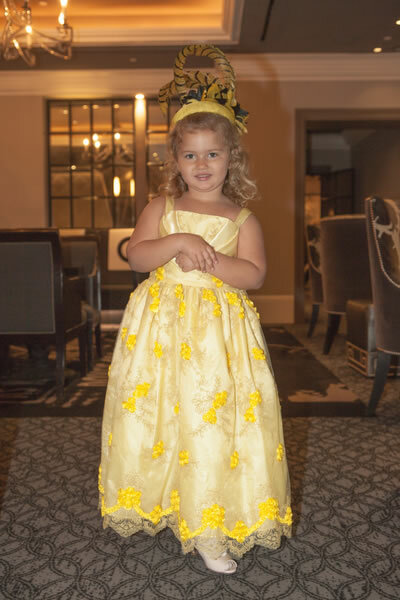 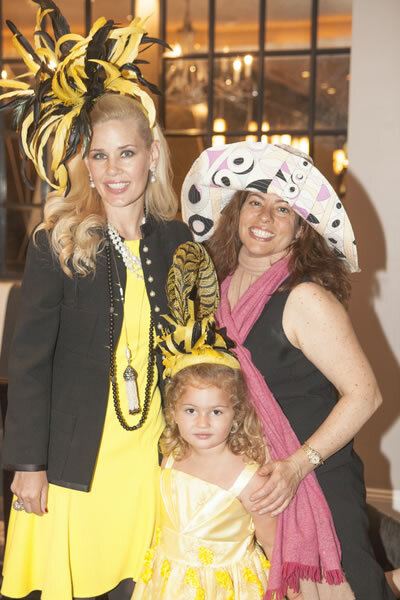 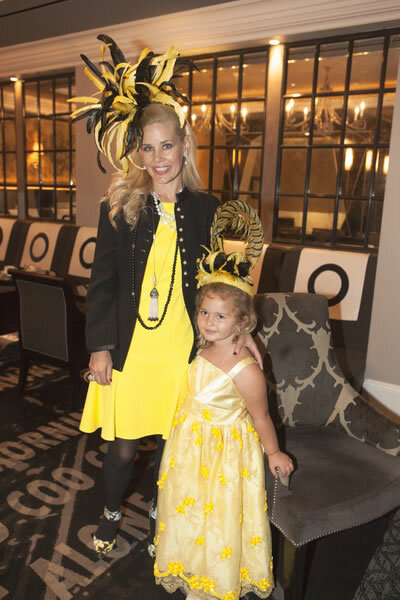 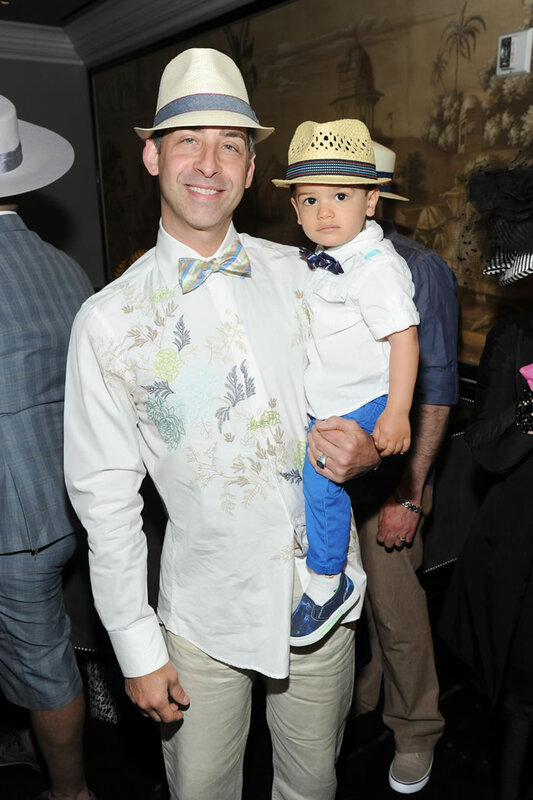 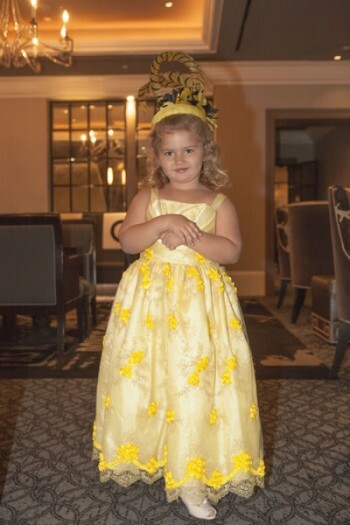 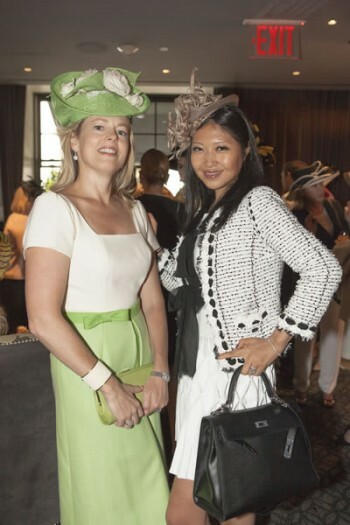 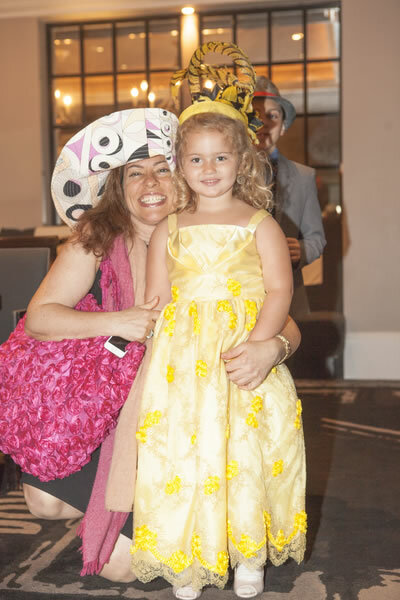 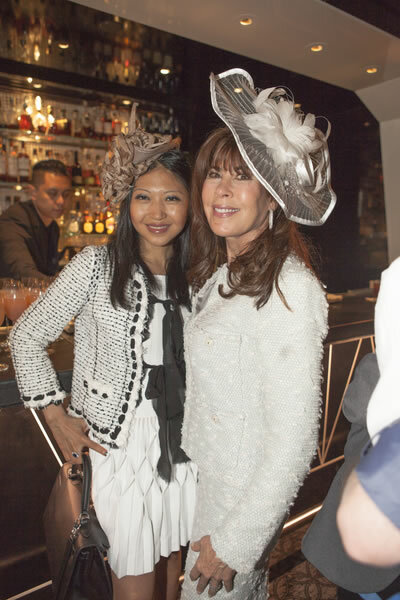 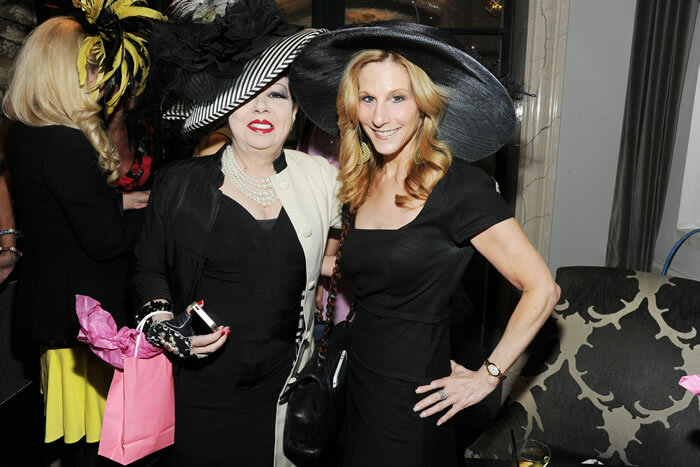 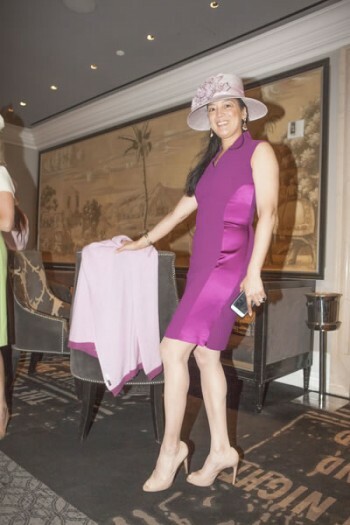 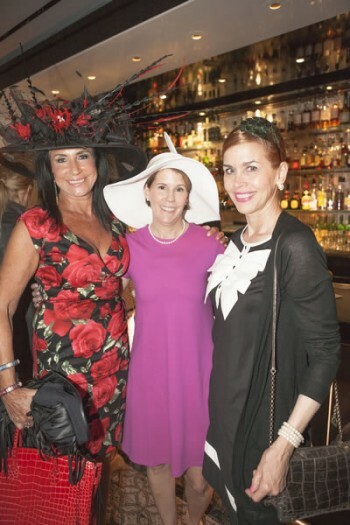 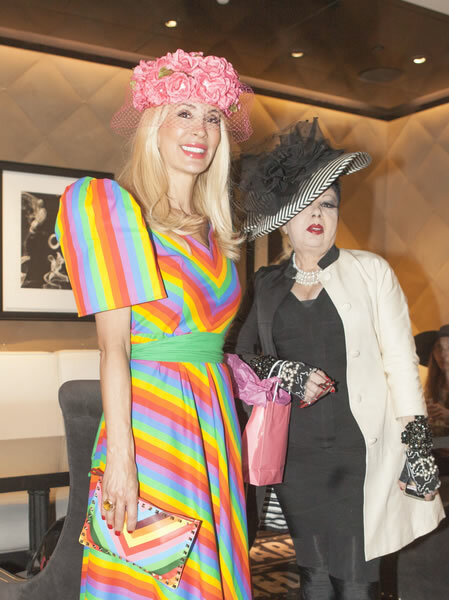 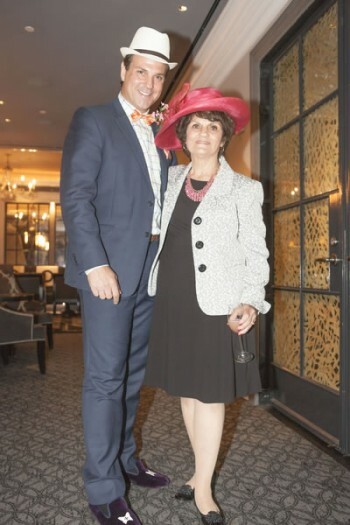 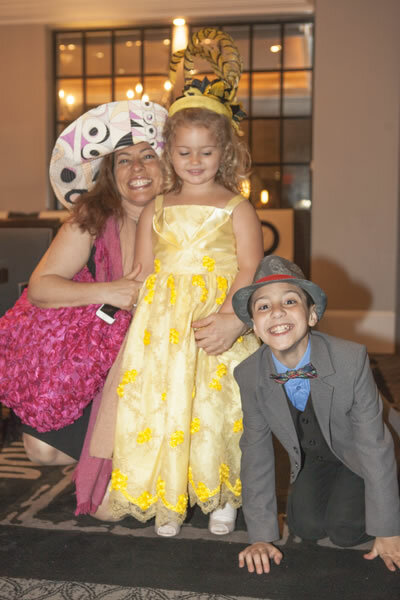 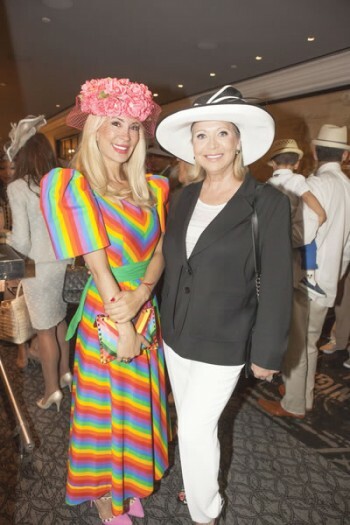 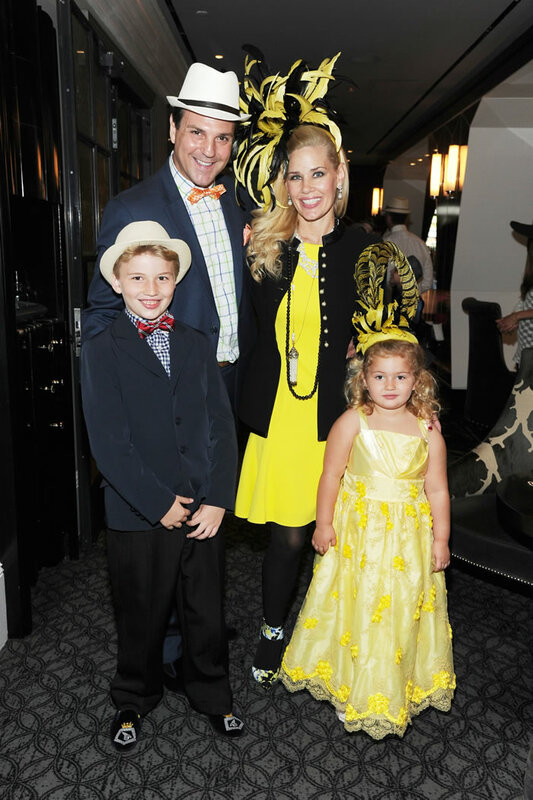 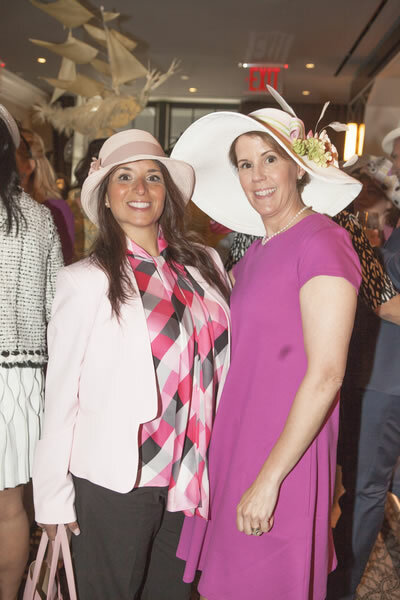 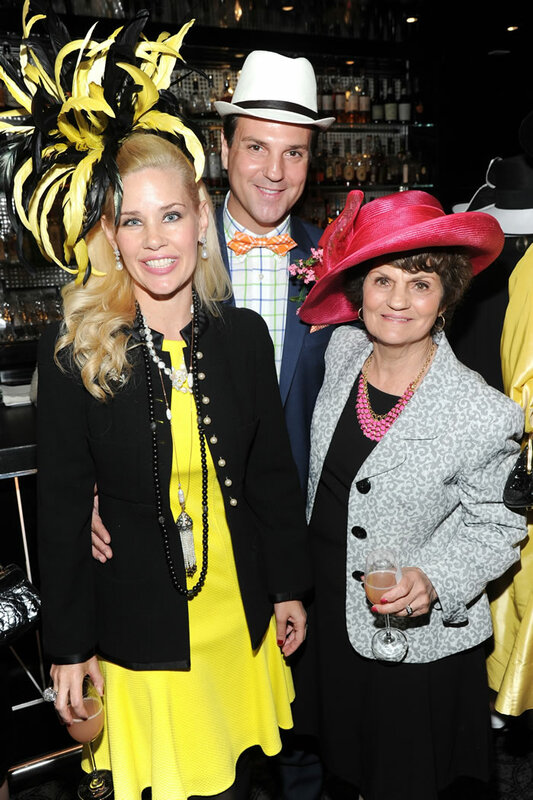 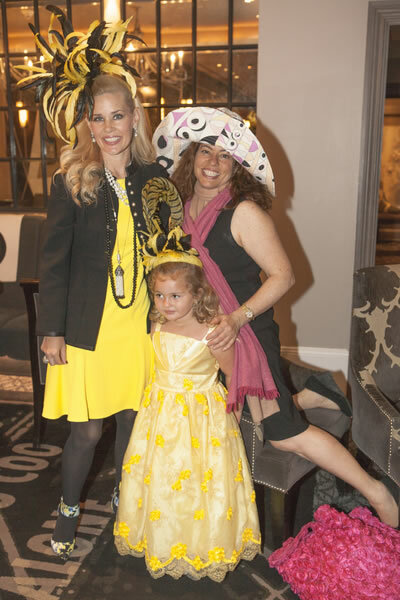 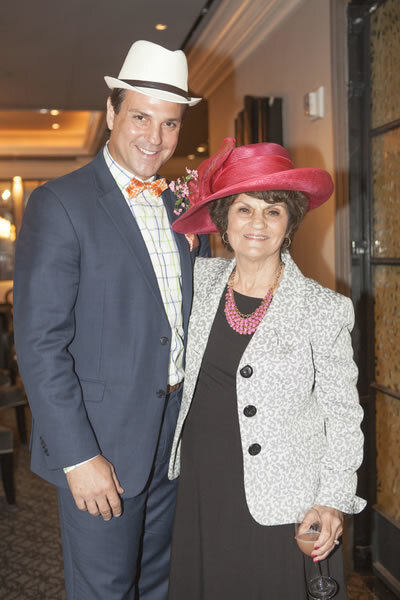 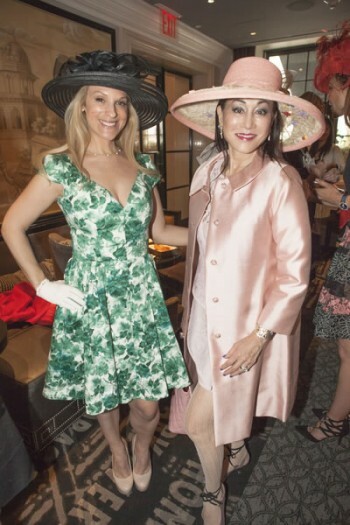 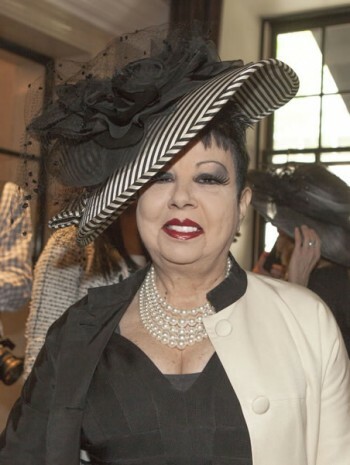 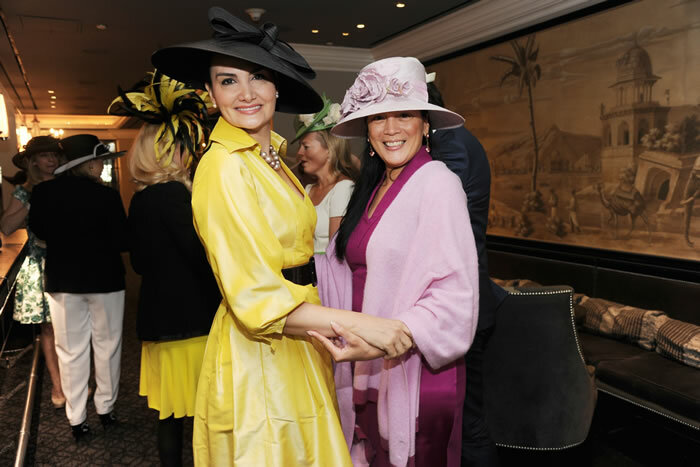 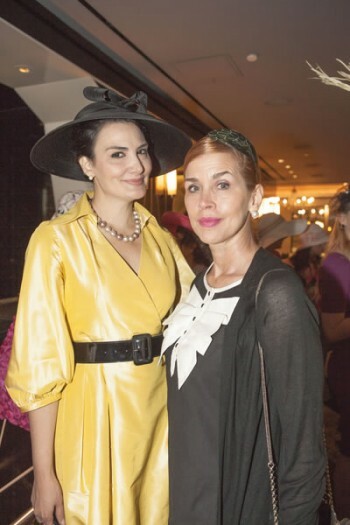 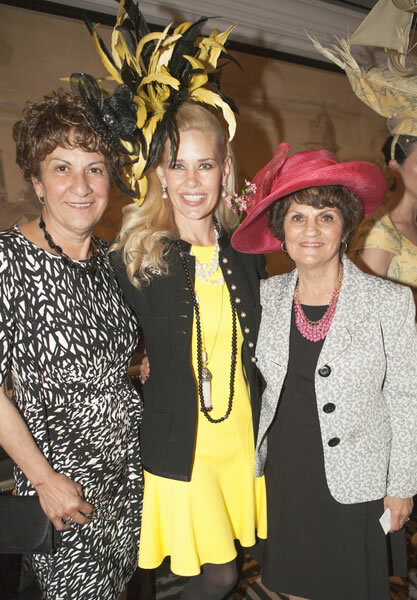 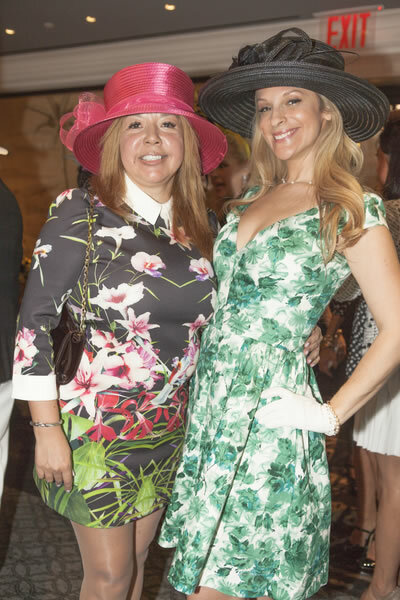 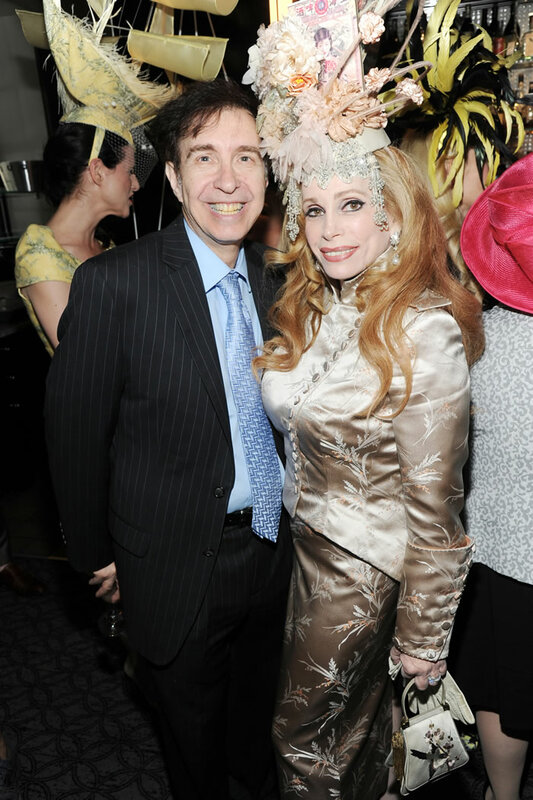 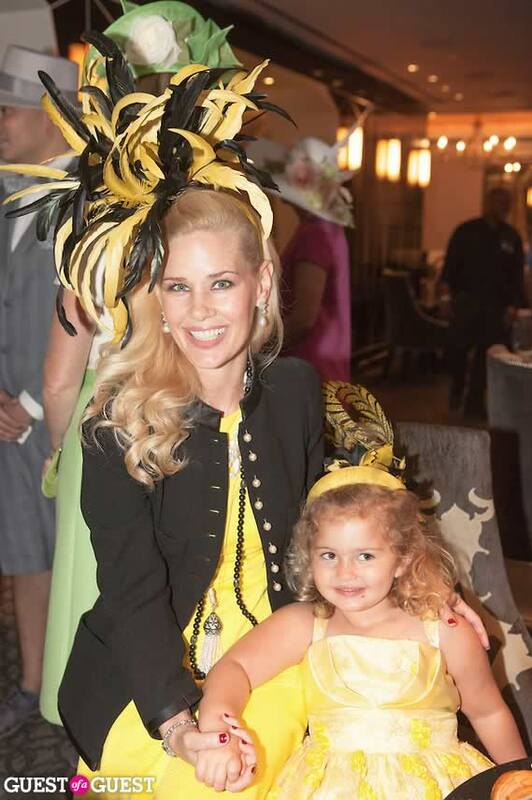 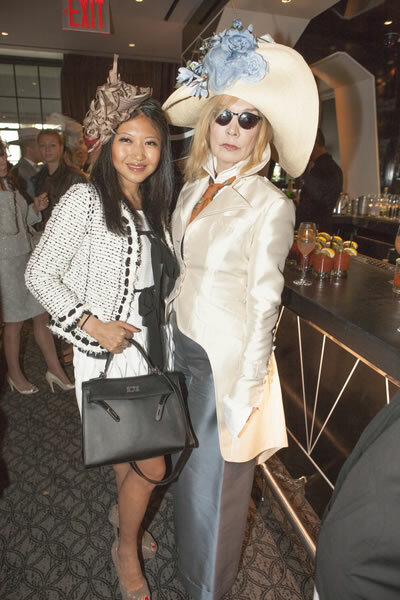 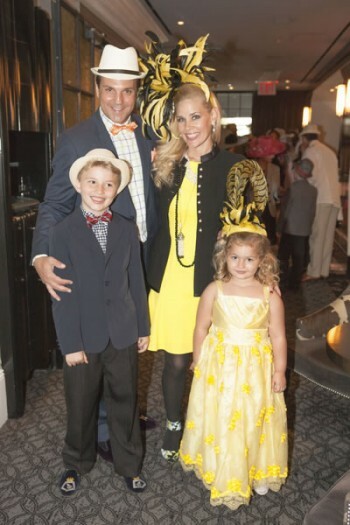 Hyacinth Cornelia Heinemann was perfectly turned out in her matching LaRoyex Fascinator with Mommy Michelle-Marie Heinemann. 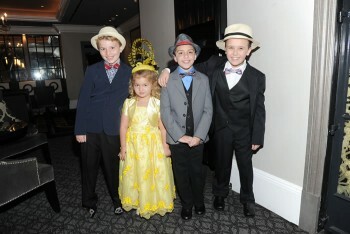 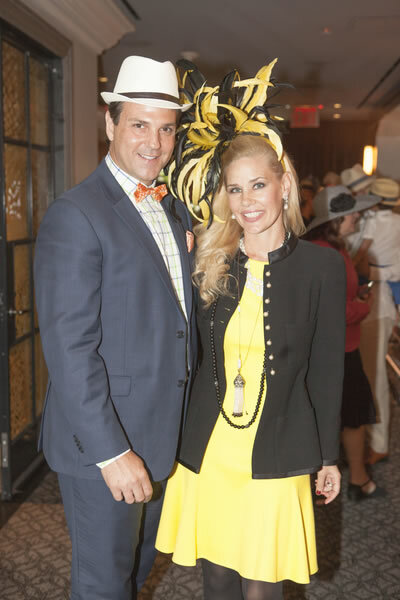 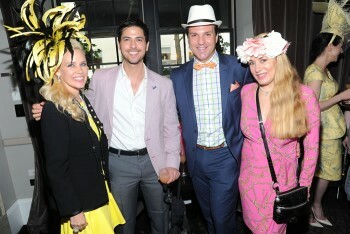 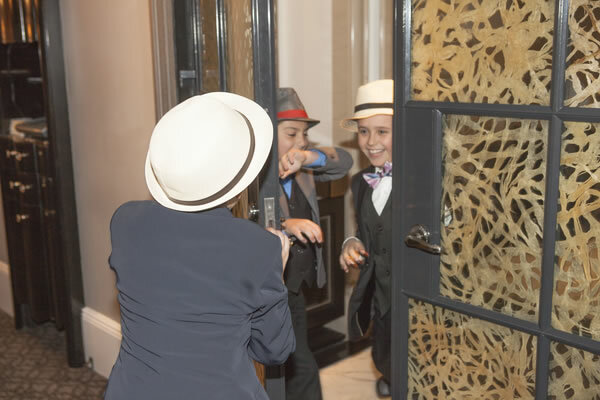 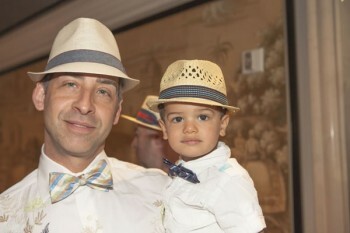 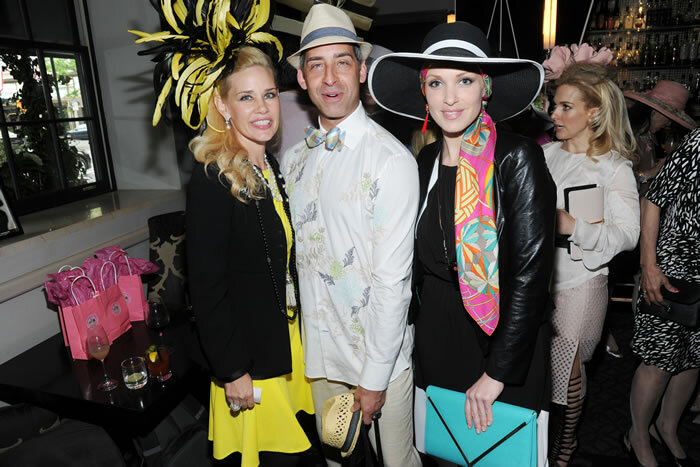 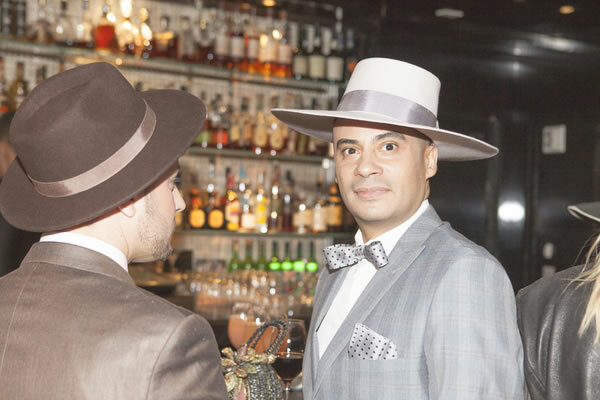 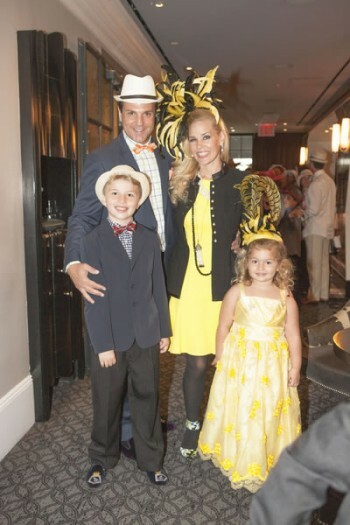 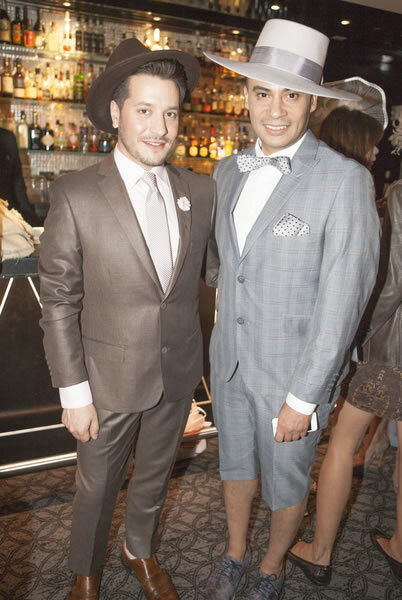 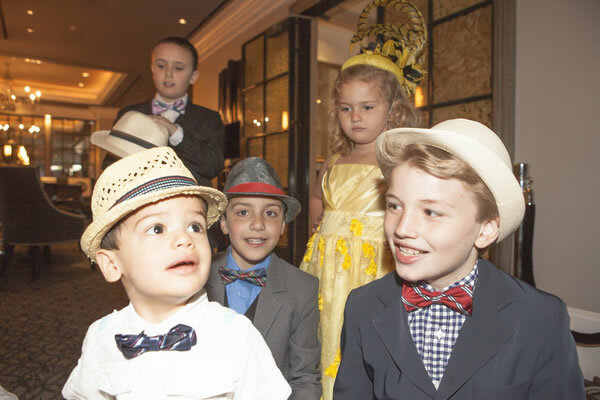 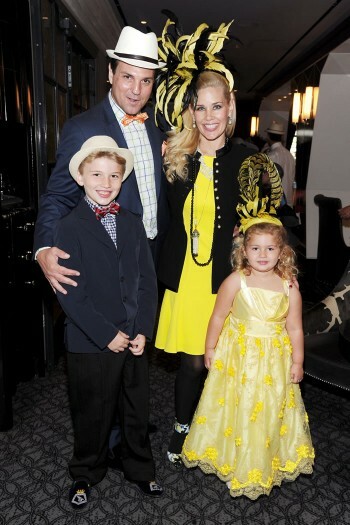 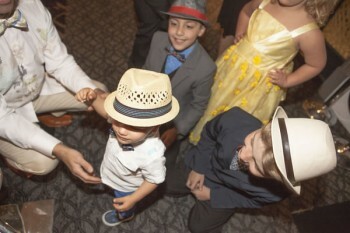 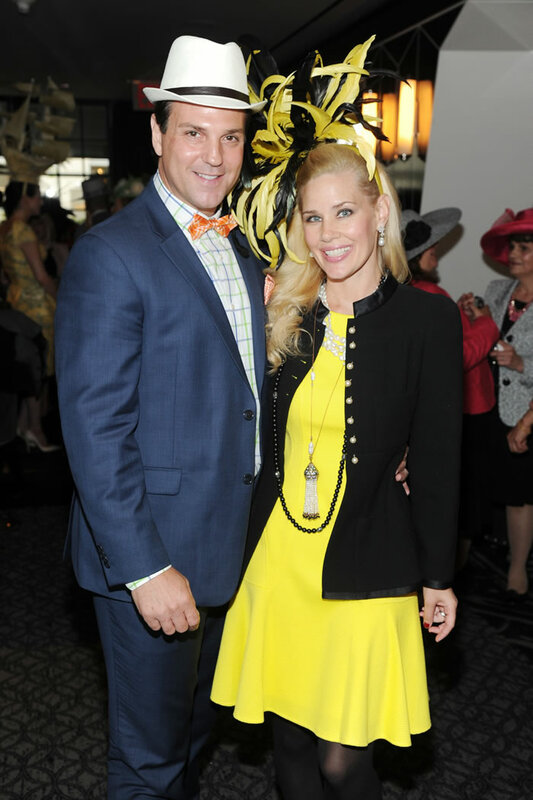 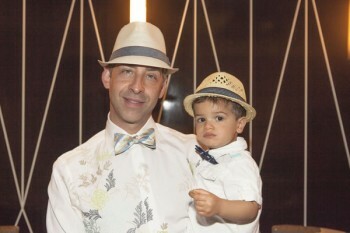 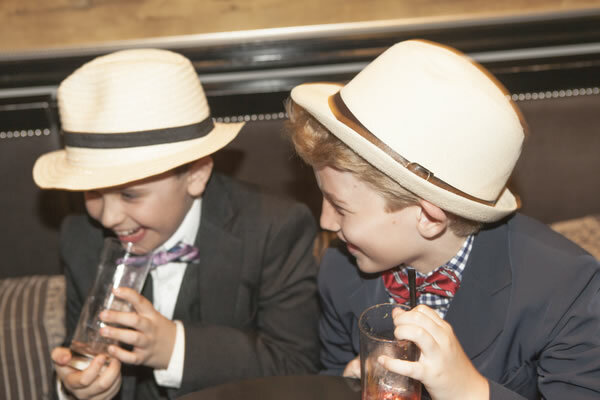 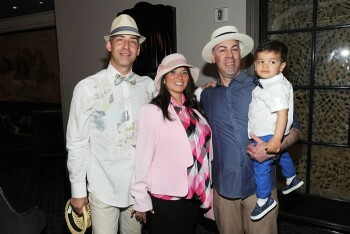 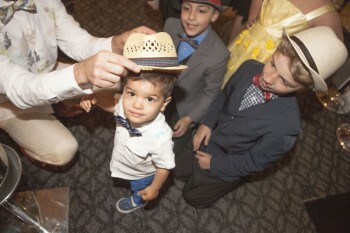 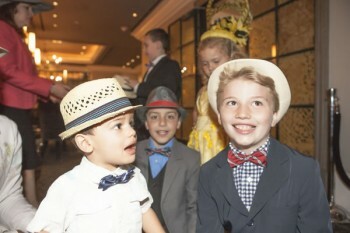 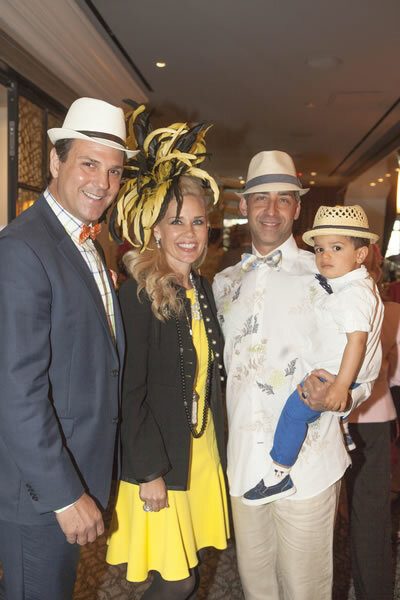 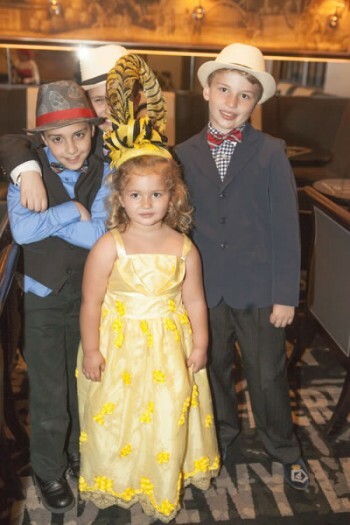 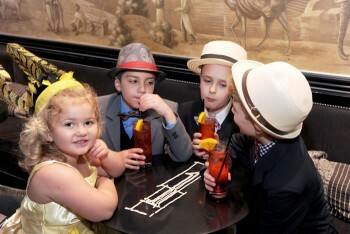 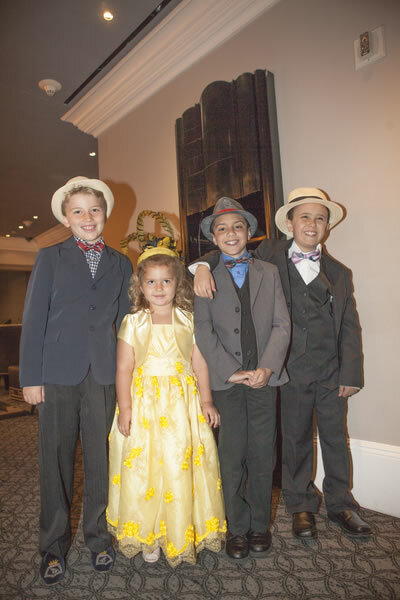 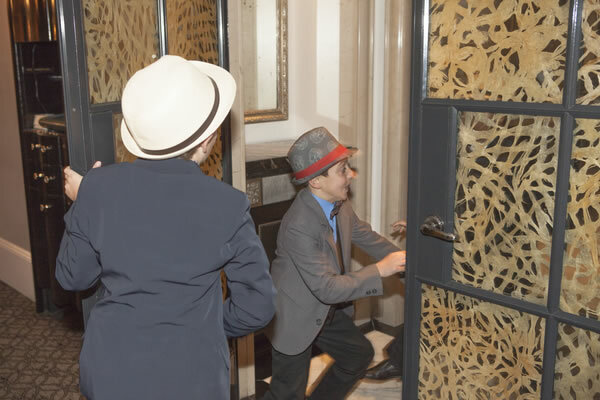 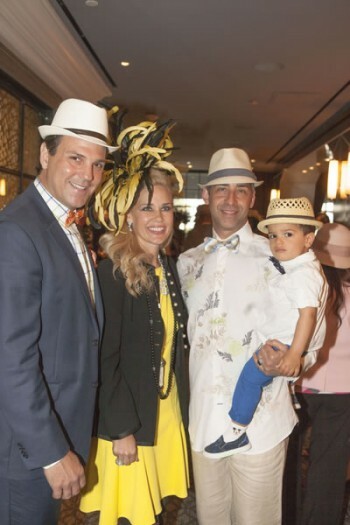 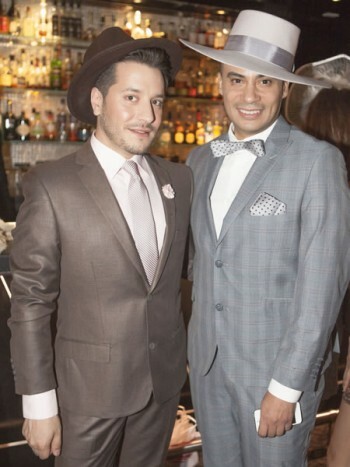 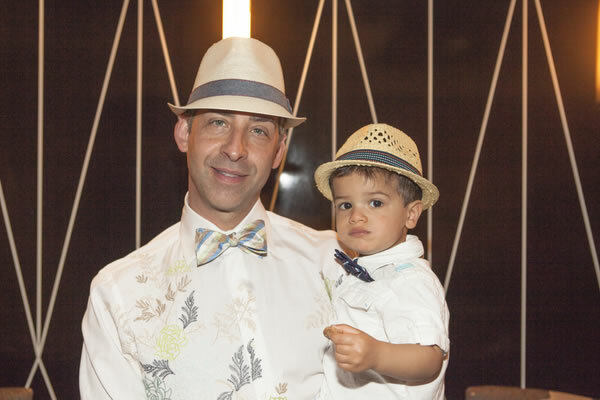 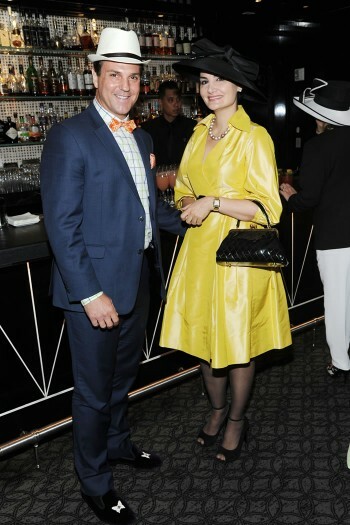 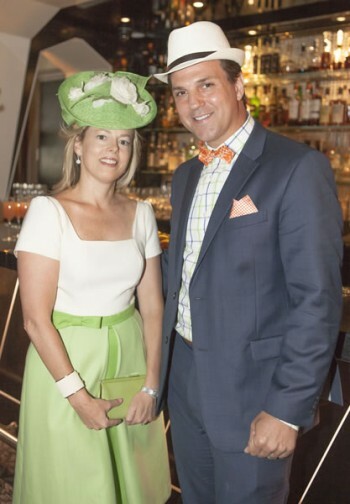 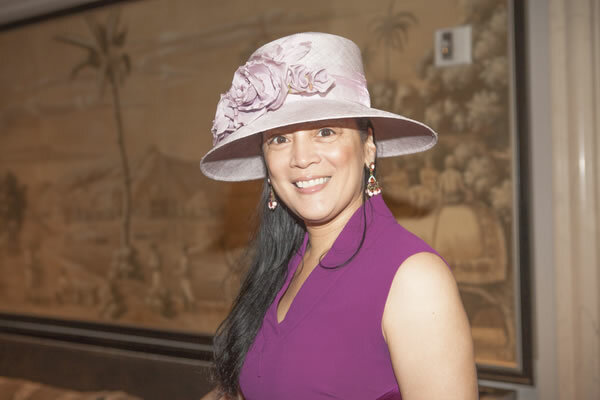 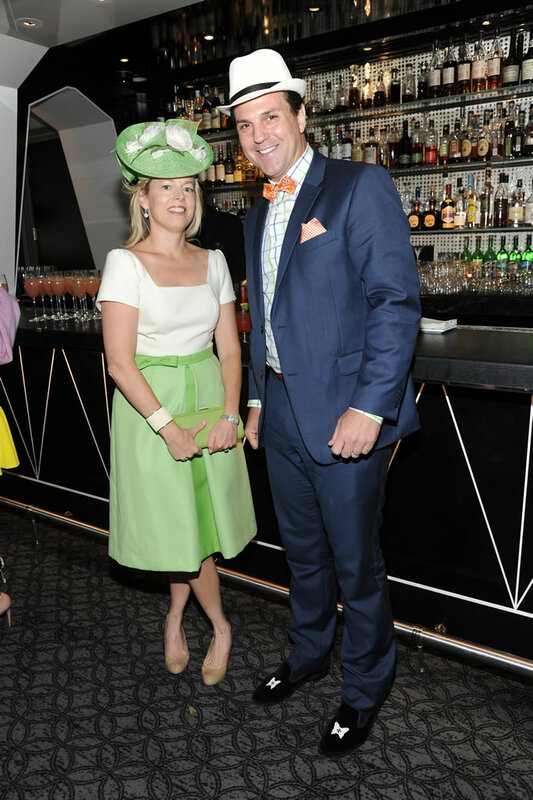 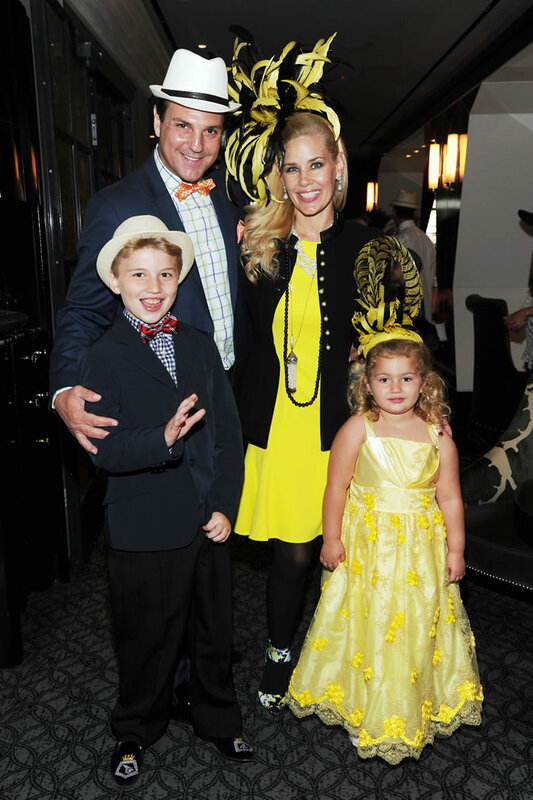 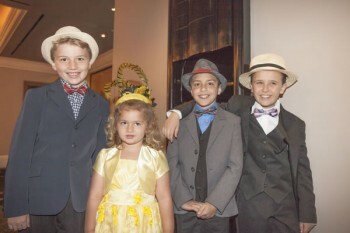 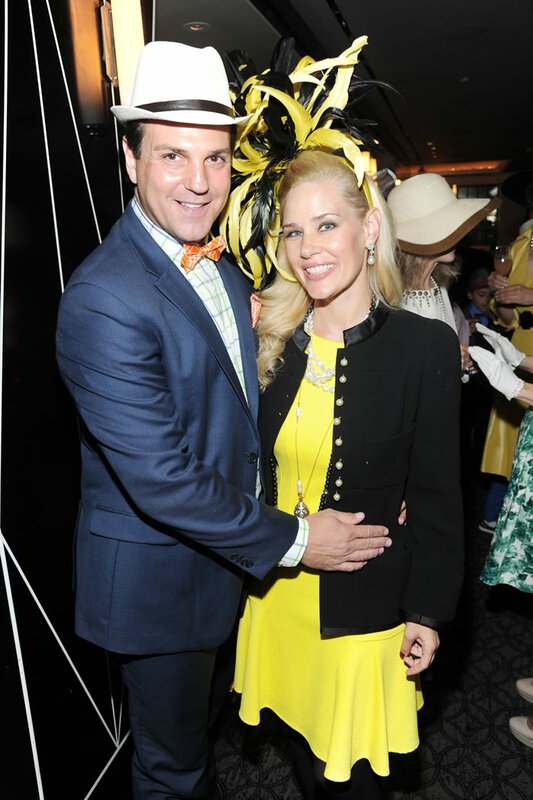 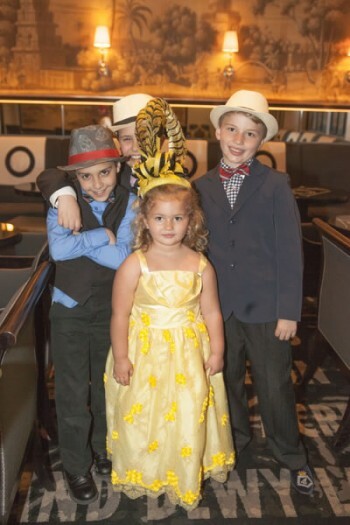 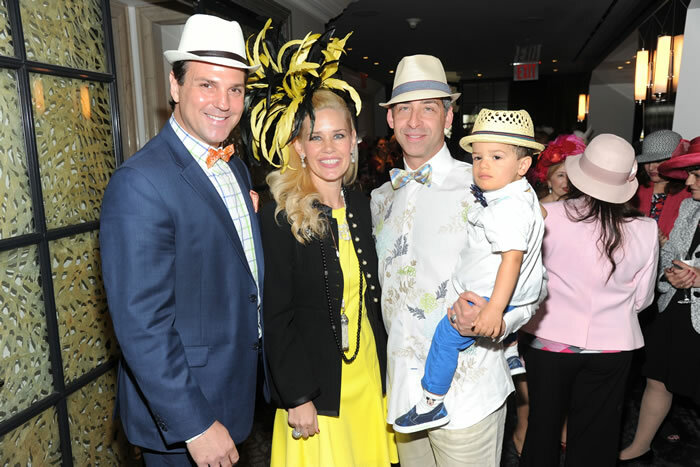 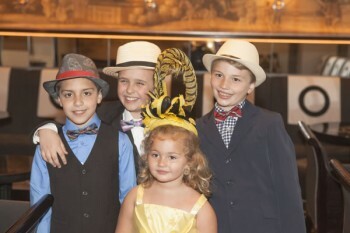 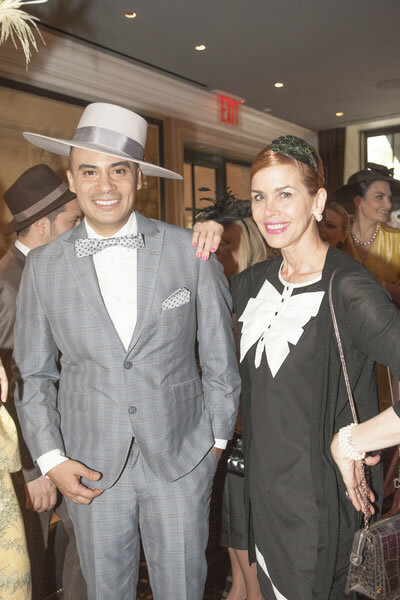 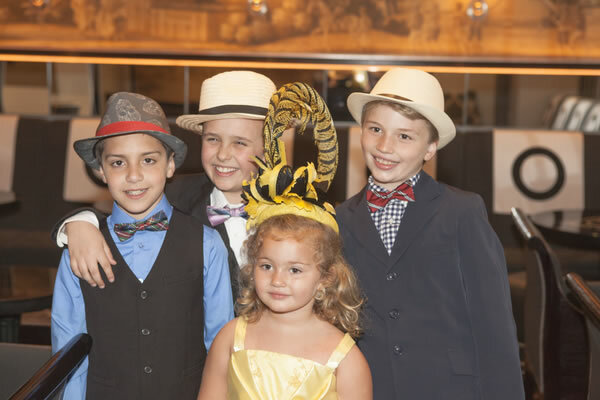 Her brother, Hudson Cornelius Heinemann opted for a more low key look with a Fedora from Maus & Hoffman in Palm Beach. 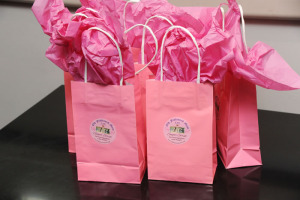 Guests received complimentary gift bags filled with Old Fashioned Mom luxury body scrubs including Parisian Chocolate Honeysuckle, Pink Grapefruit Marmalade and Heavenly Hyacinth!